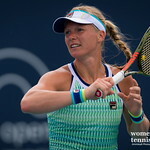 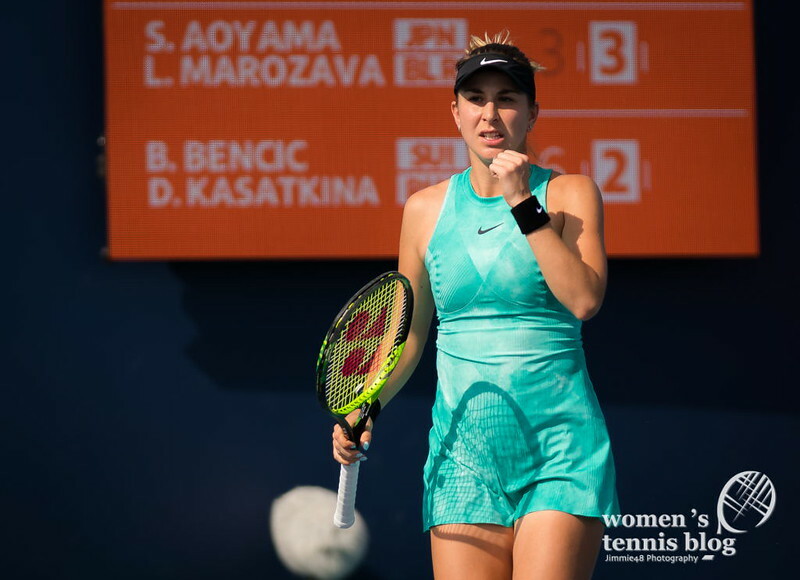 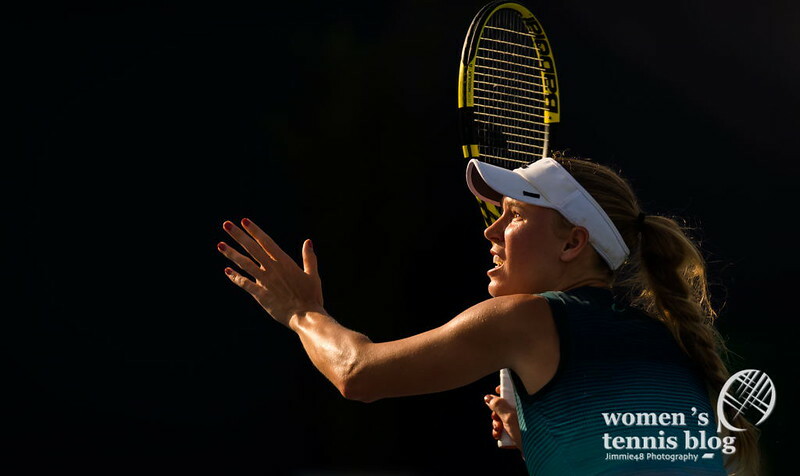 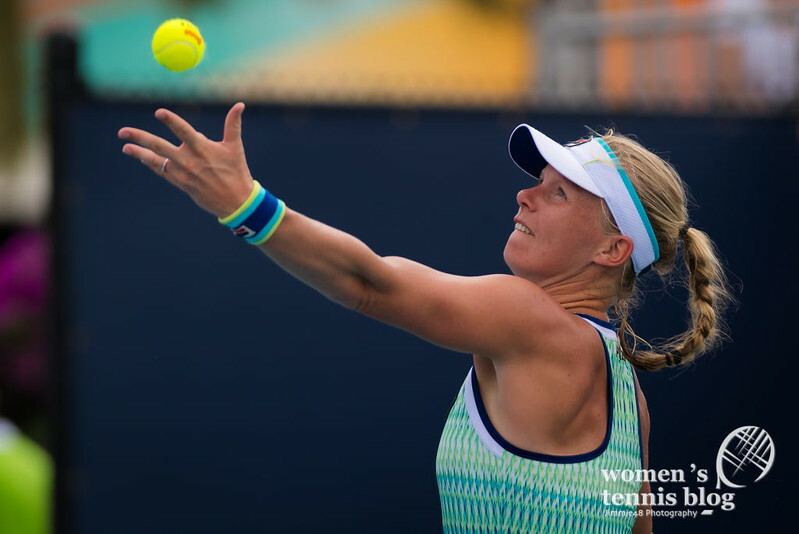 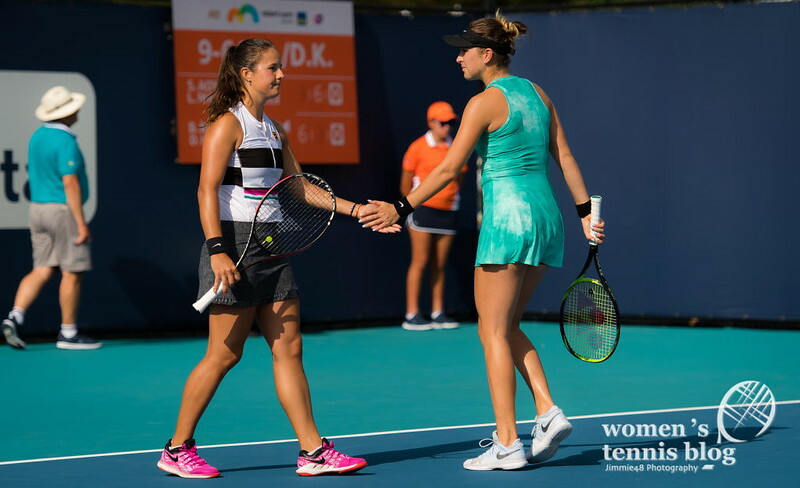 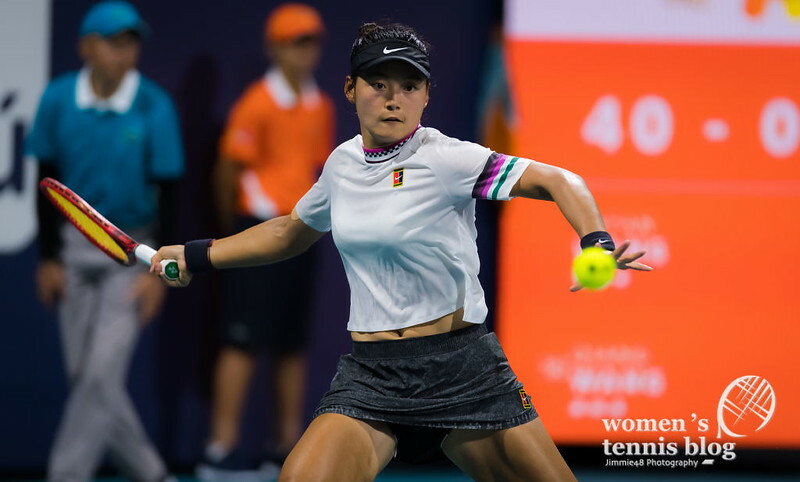 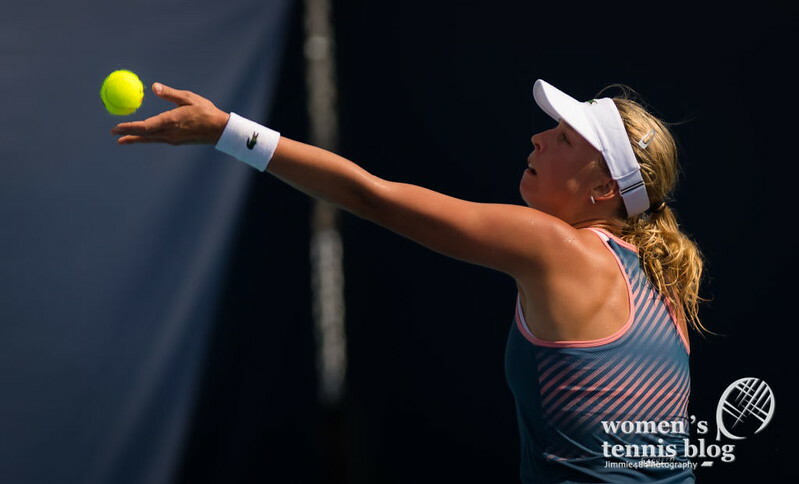 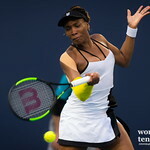 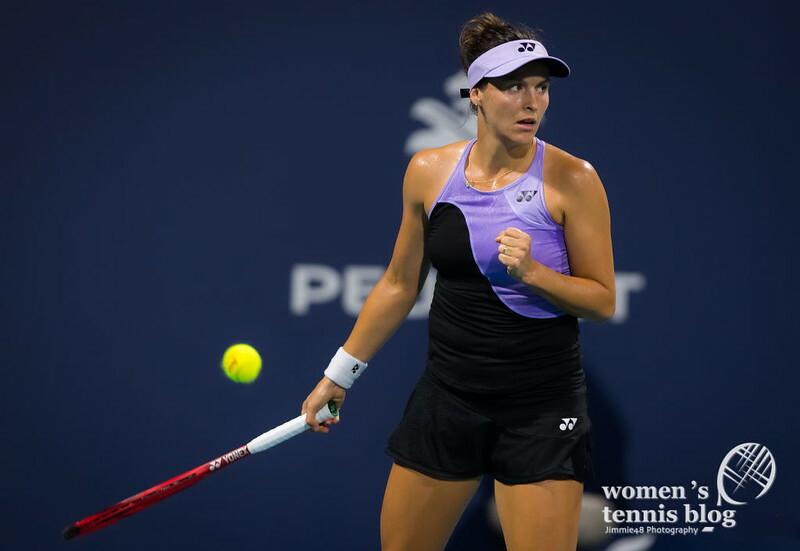 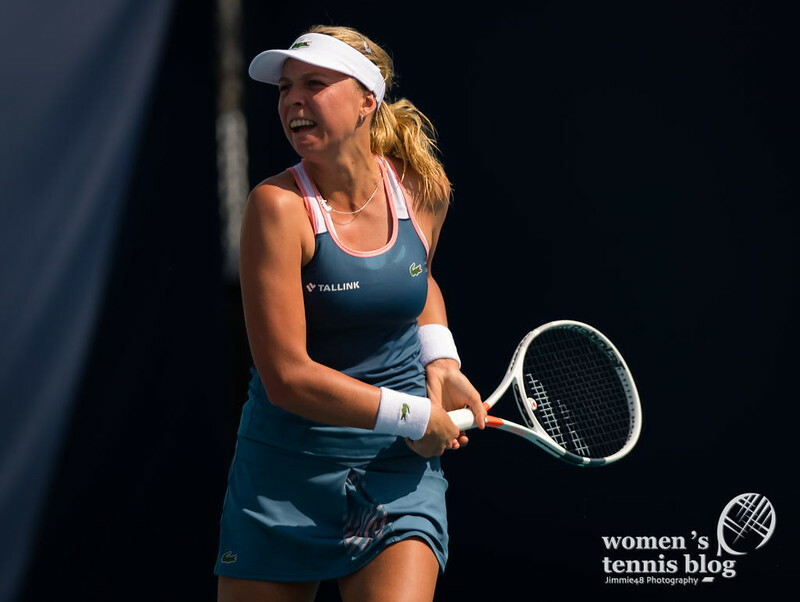 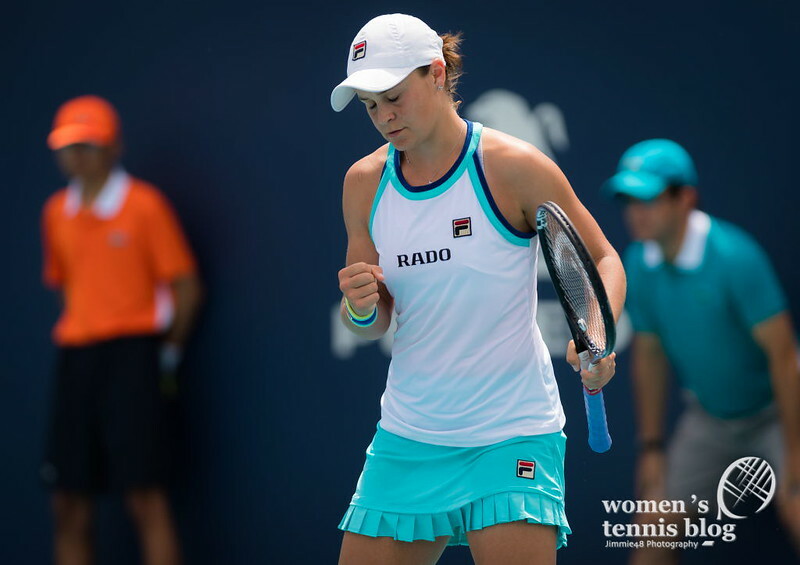 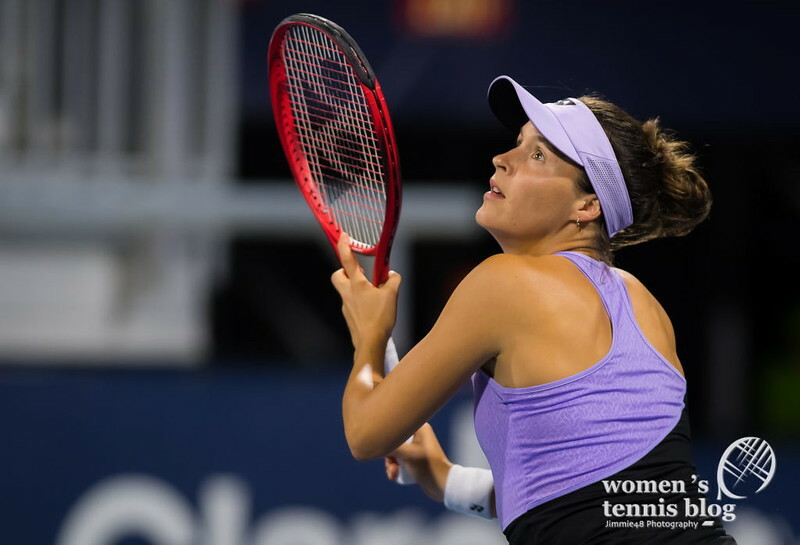 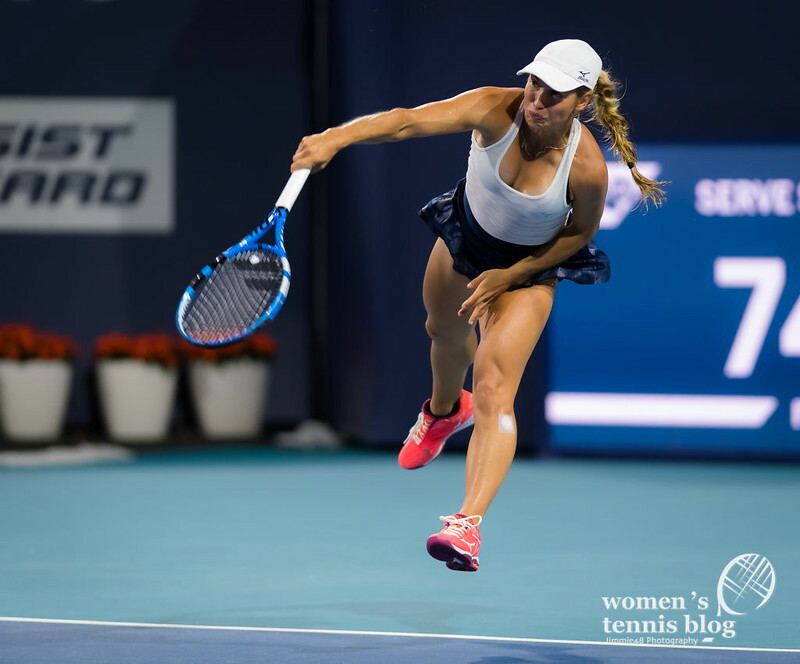 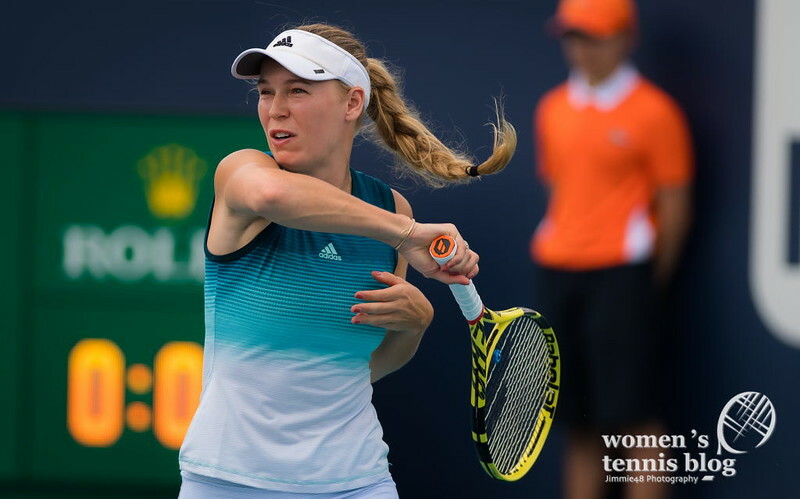 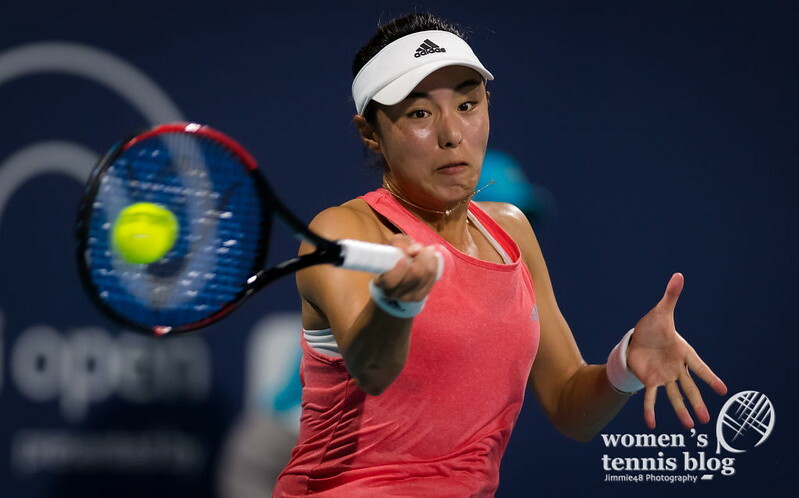 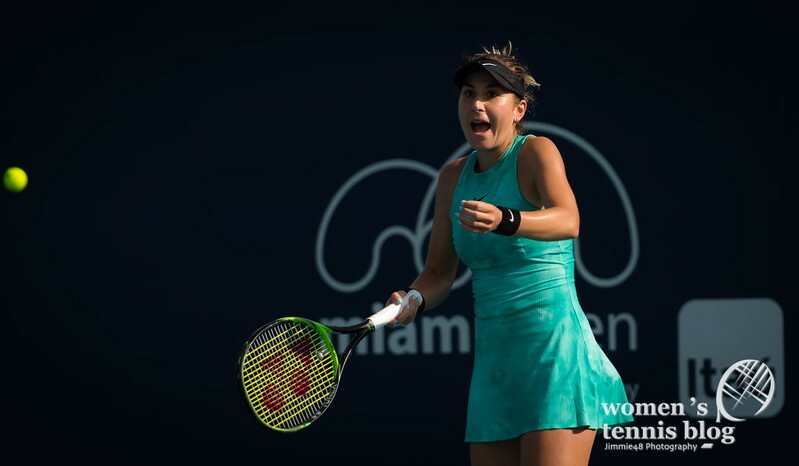 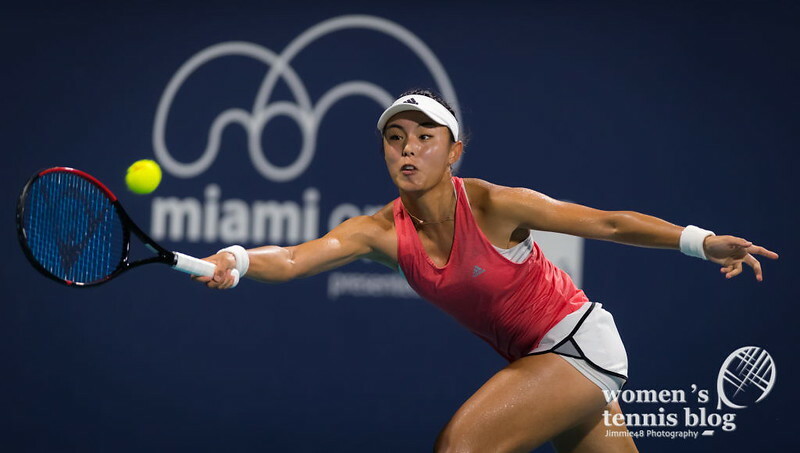 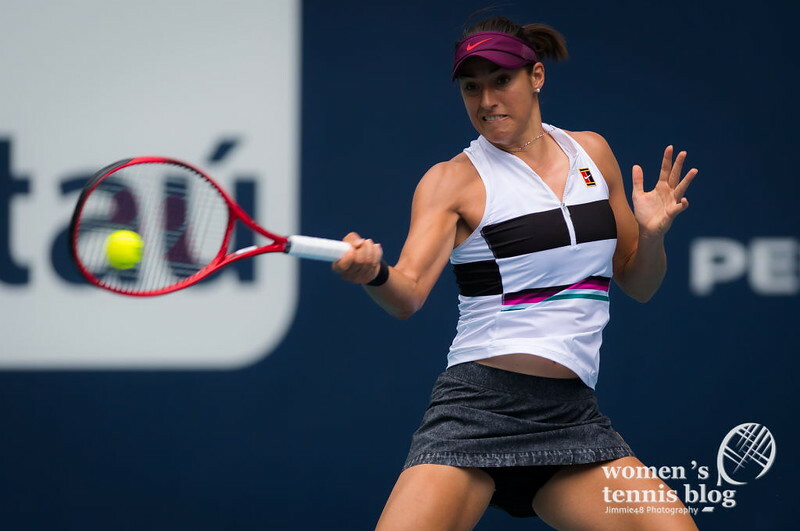 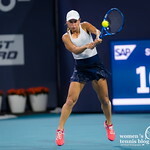 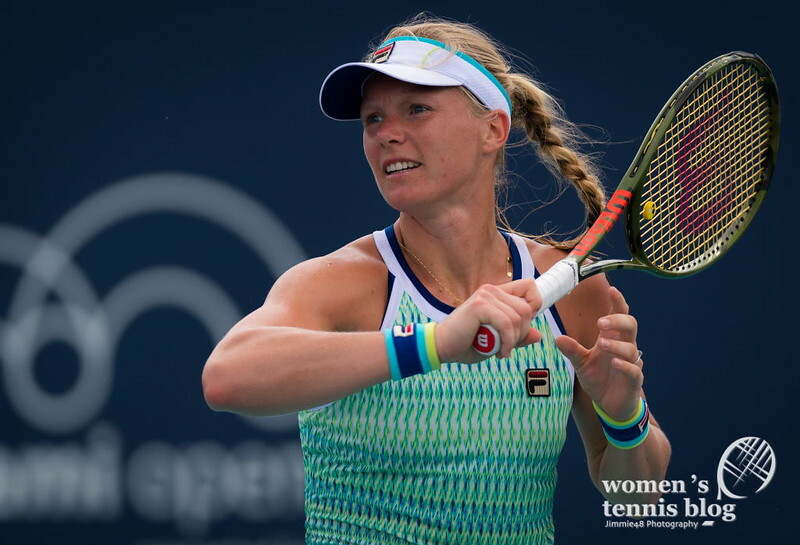 Monday at the Miami Open defined the singles quarterfinal field and our Jimmie48 attended all eight fourth-round matches, plus one doubles meeting. 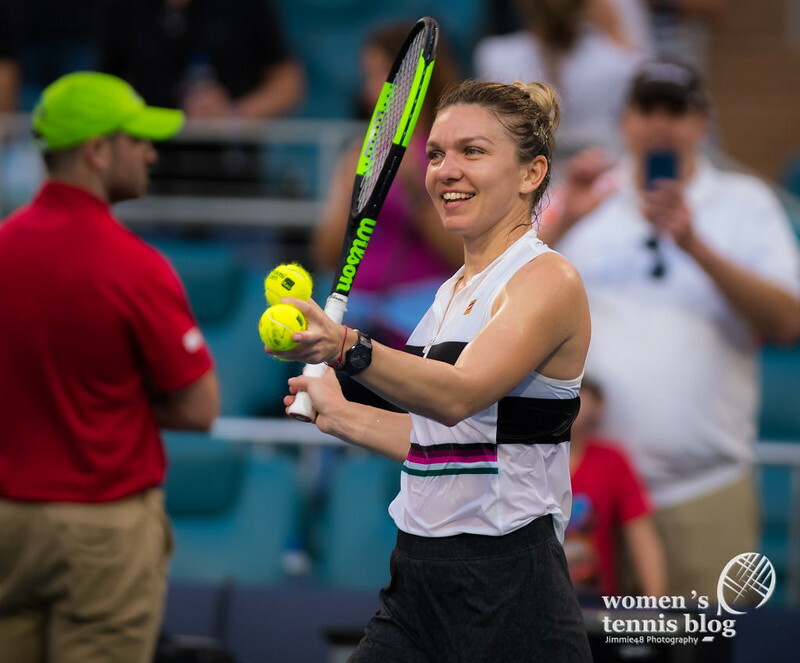 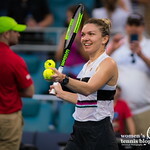 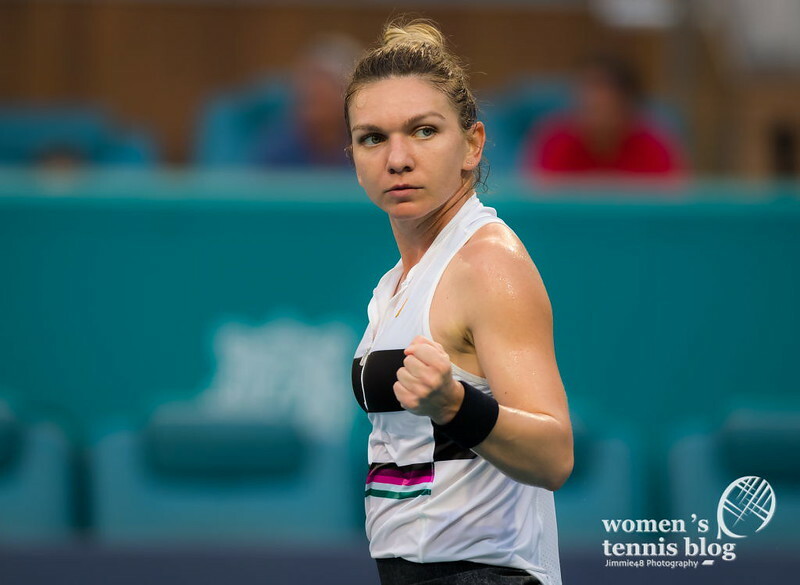 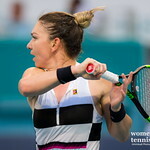 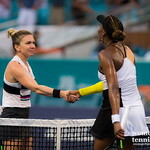 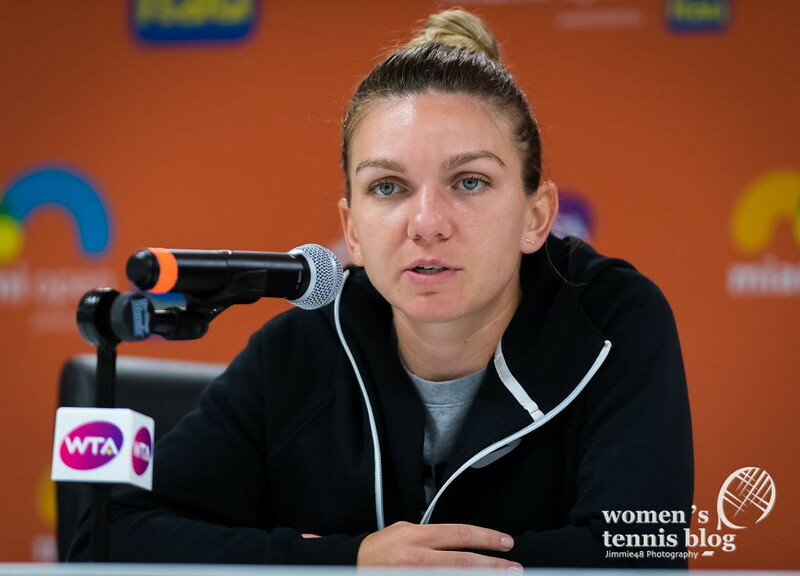 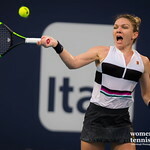 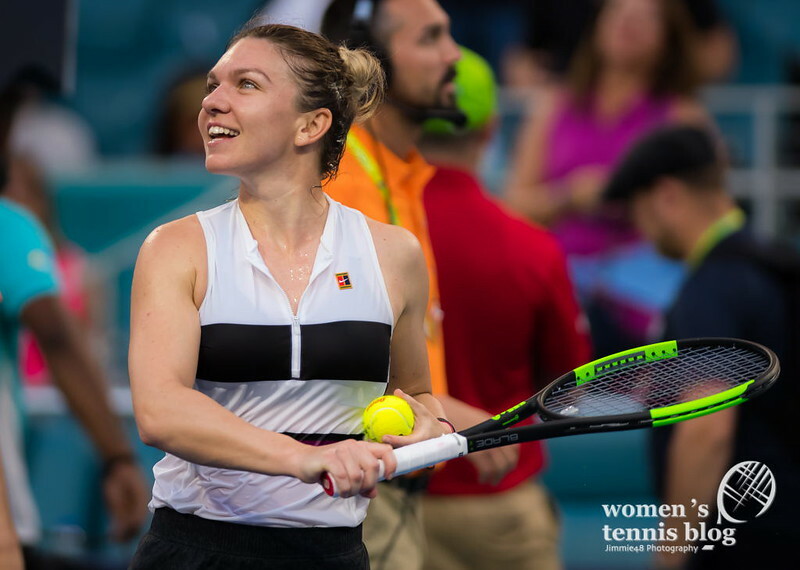 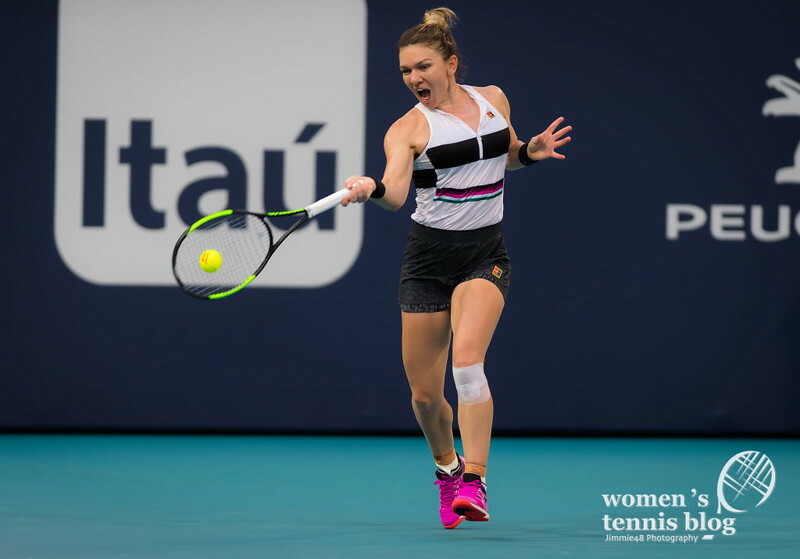 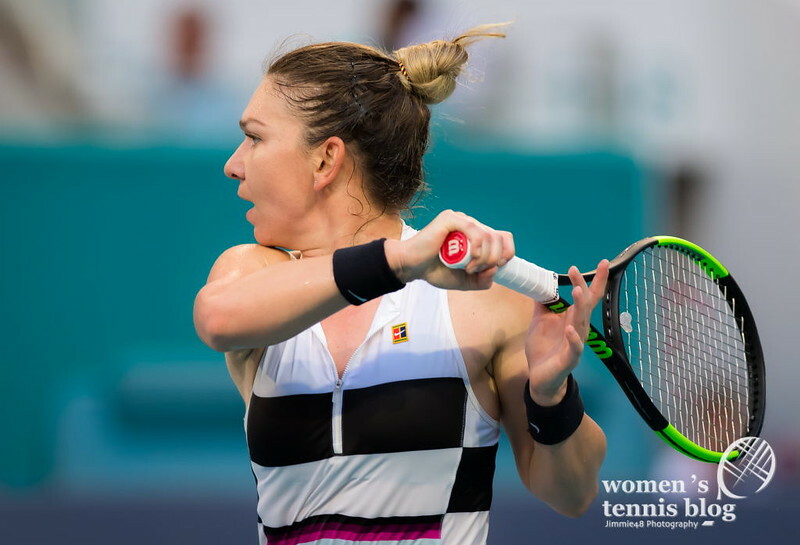 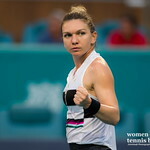 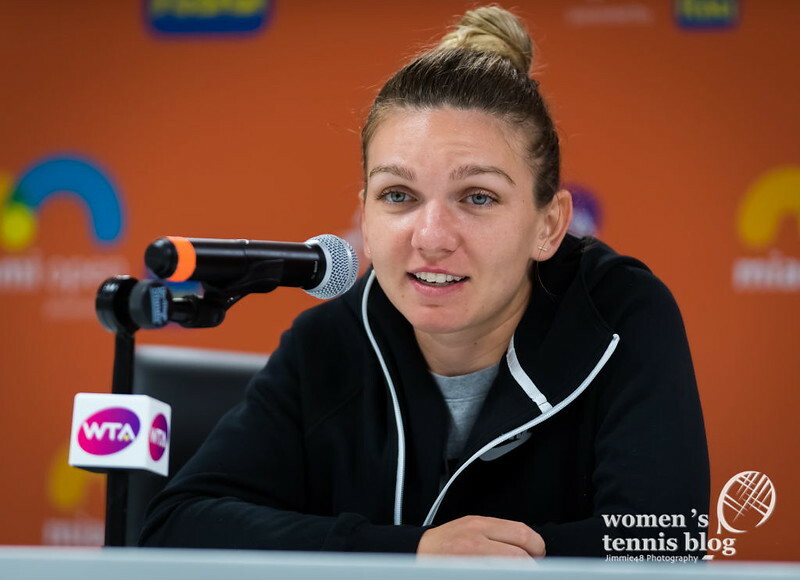 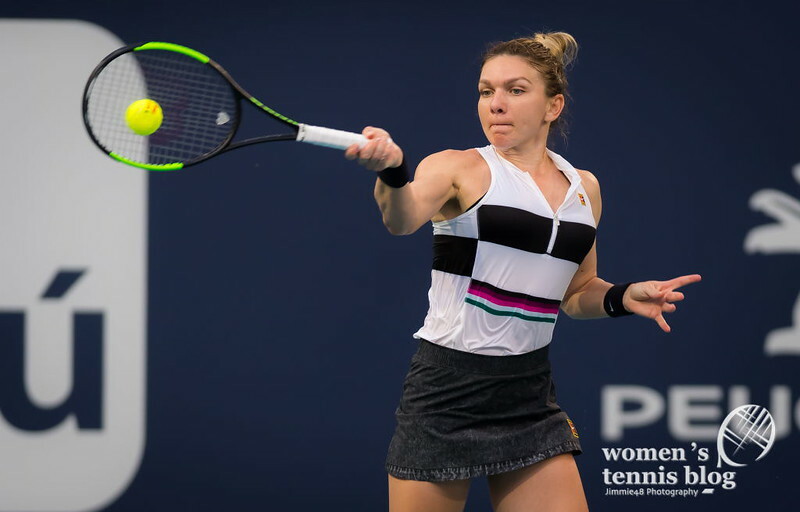 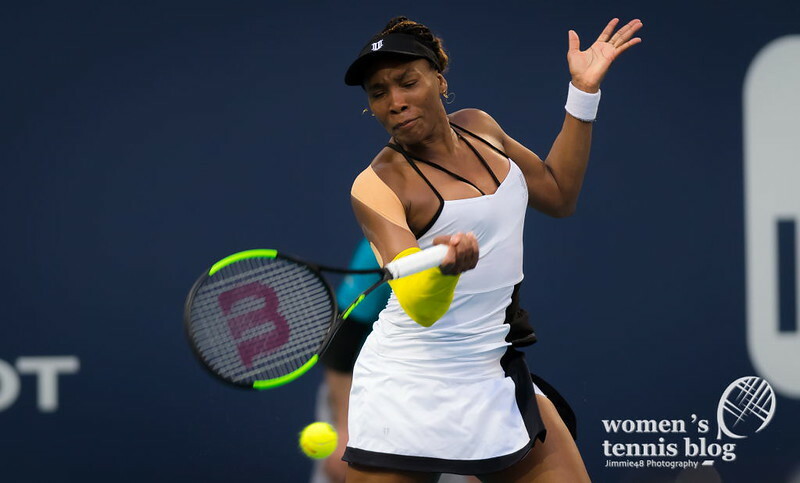 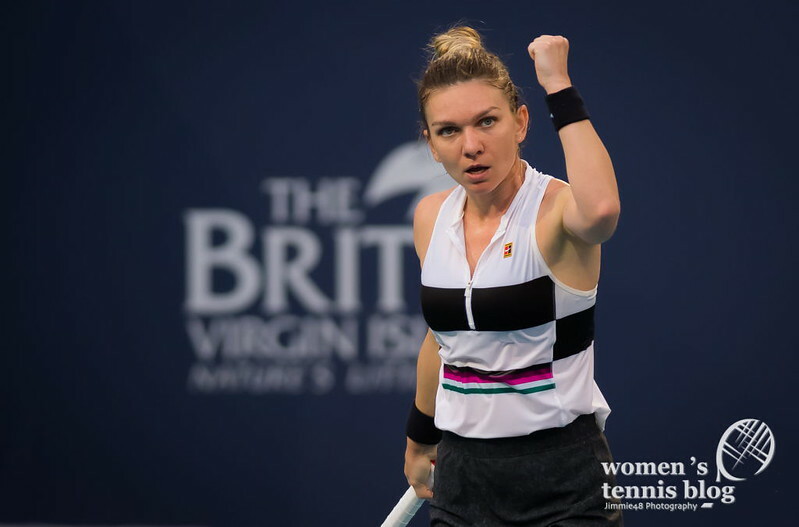 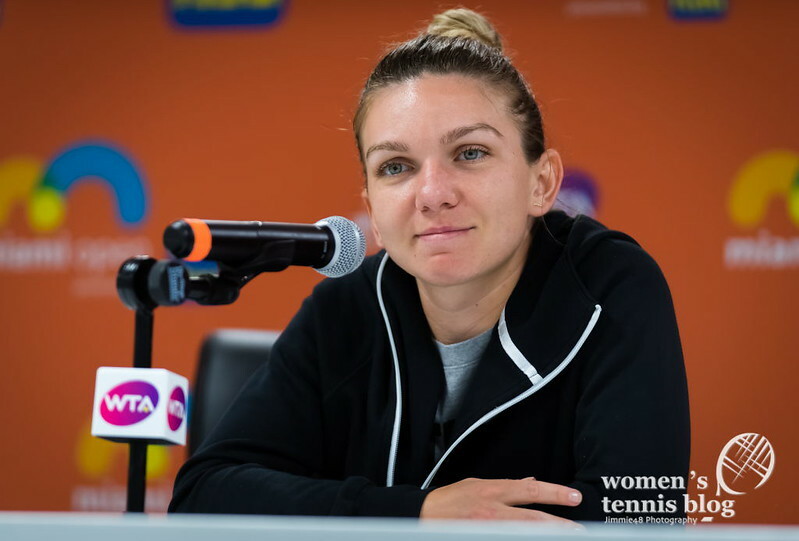 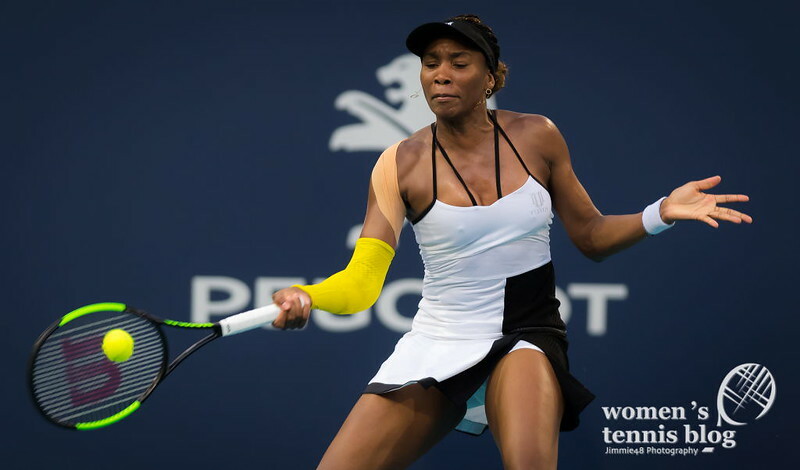 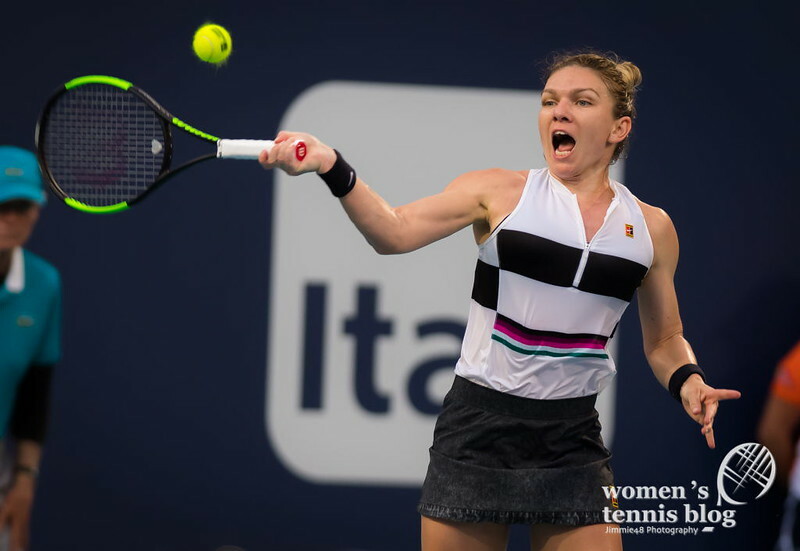 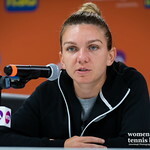 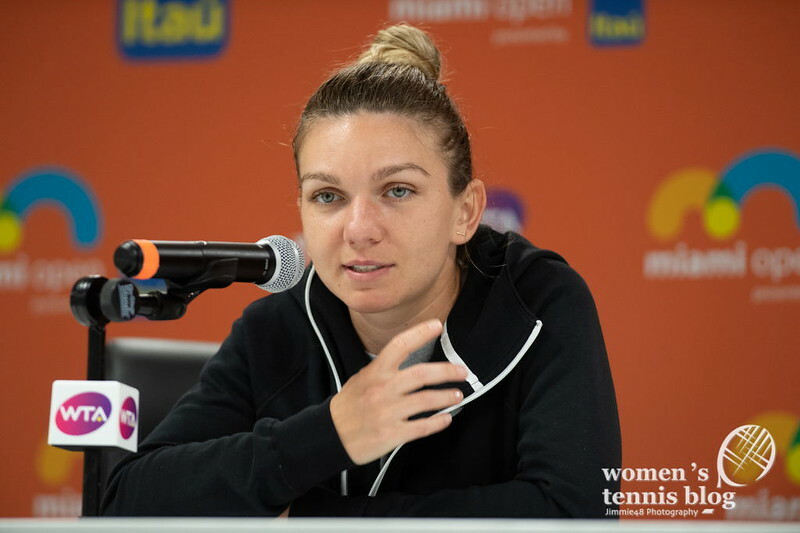 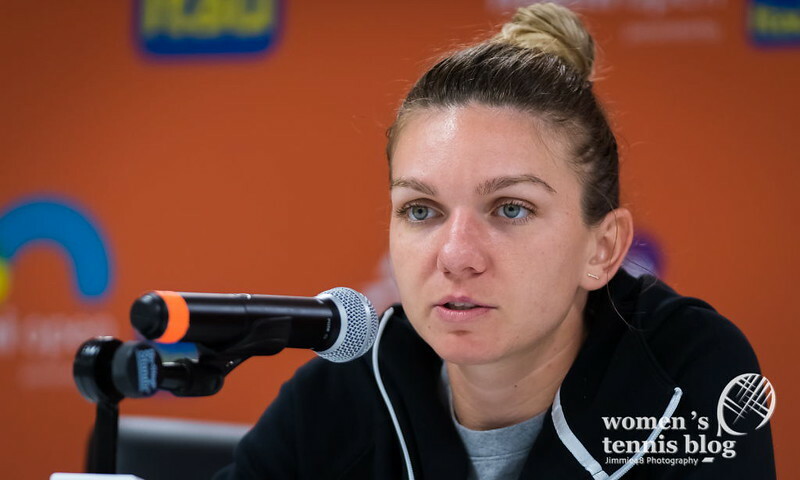 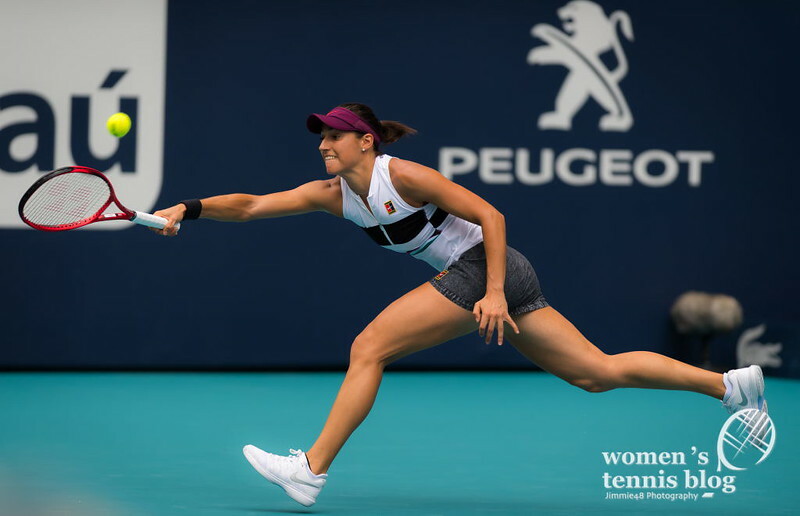 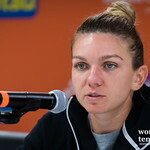 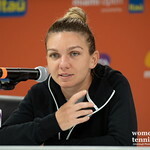 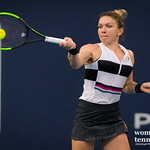 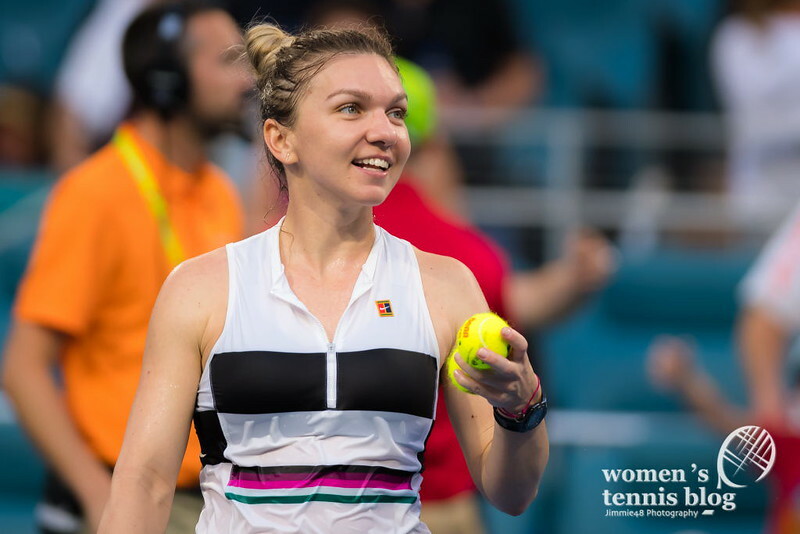 All eyes were on the Simona Halep vs. Venus Williams encounter and the Romanian second seed came out on top 6-3 6-3, keeping alive her chances of a return to the No.1 ranking. 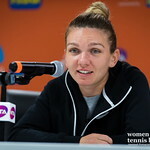 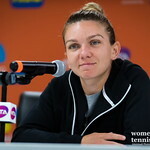 Halep will next face the winner of an all-Wang quarterfinal, i.e. 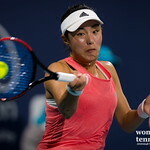 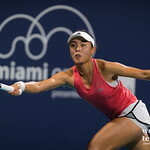 seed No.18 Wang Qiang ,who defeated fellow Chinese Wang Yafan 7-5 6-4. 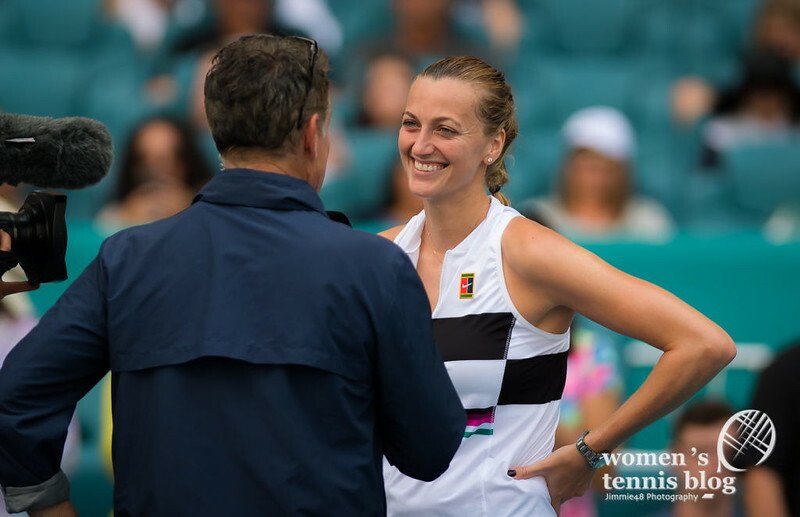 Besides Halep, Petra Kvitova can also dethrone Naomi Osaka from the WTA No.1 position at the end of the tournament, as the Czech beat France’s Caroline Garcia 6-3 6-3. 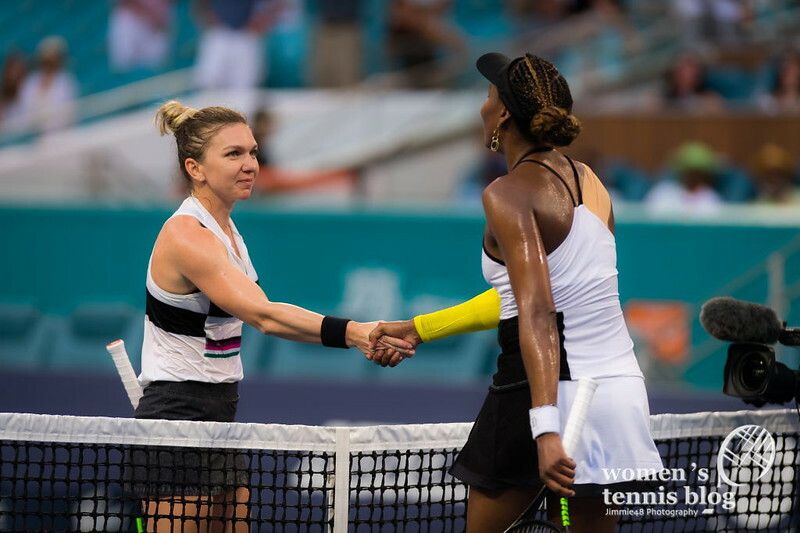 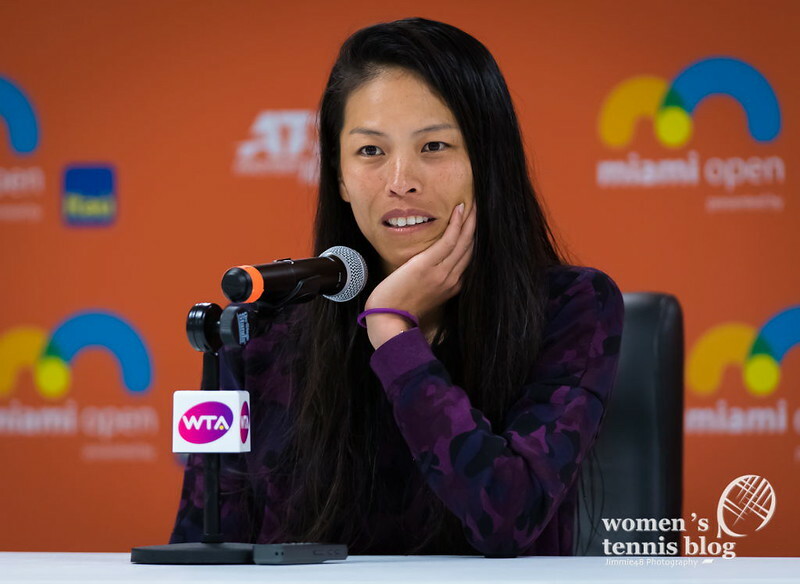 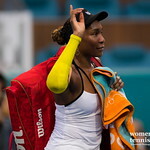 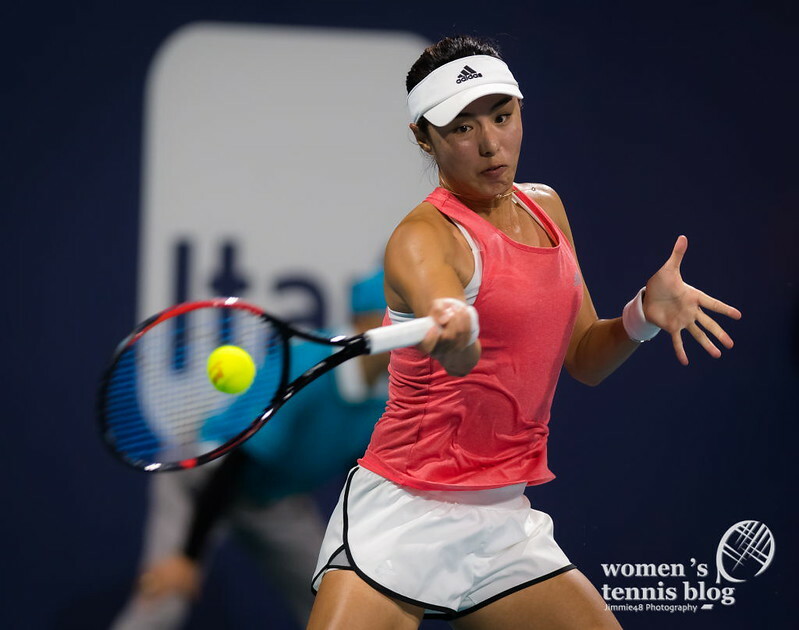 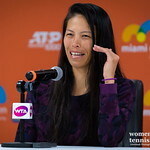 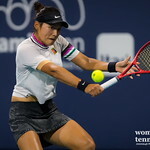 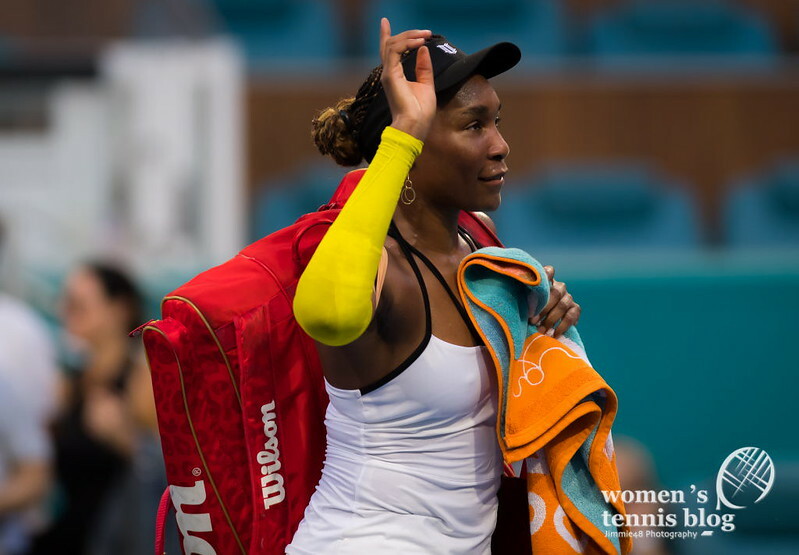 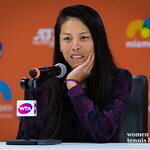 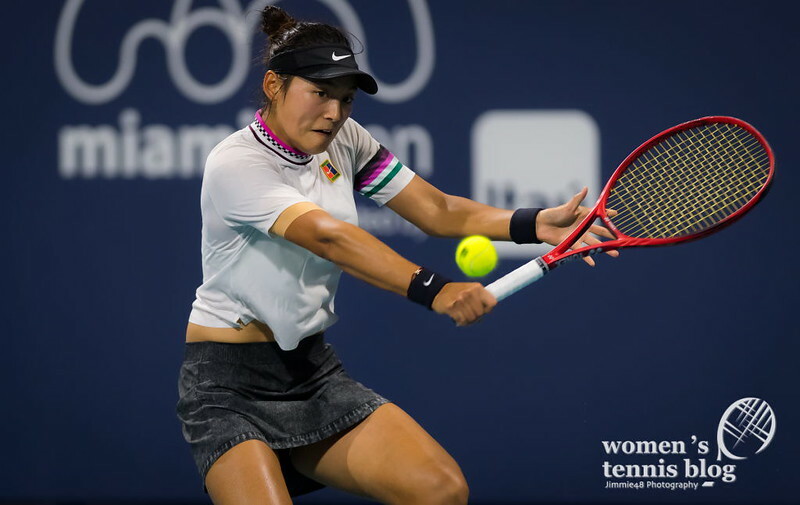 Osaka will keep her top rankings if neither Halep nor Kvitova reach the Miami Open final. 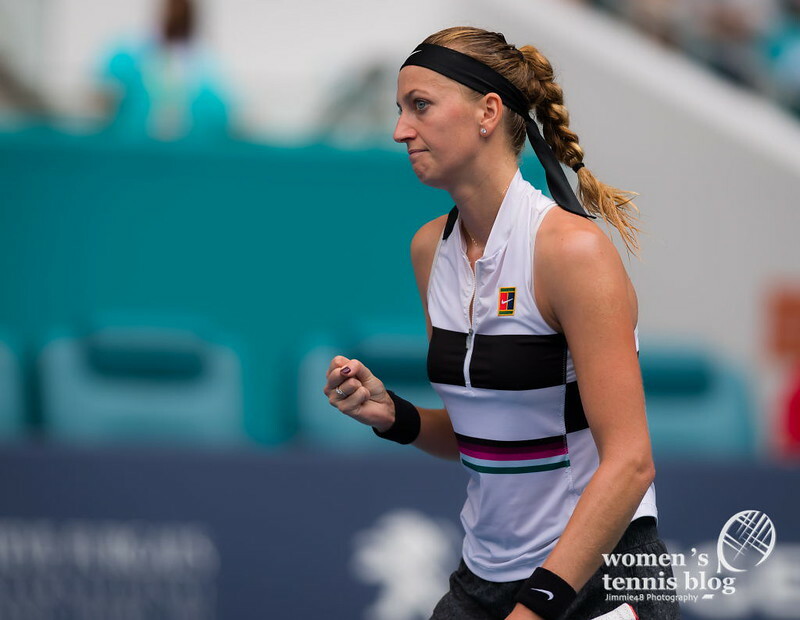 The second-seeded Kvitova will face Ashleigh Barty in the quarterfinals, after the Australian rallied to beat Kiki Bertens 4-6 6-3 6-2. 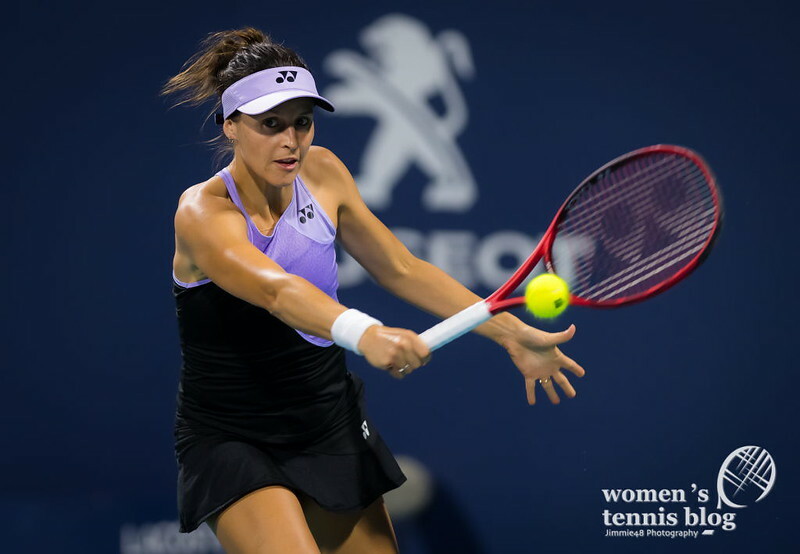 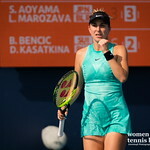 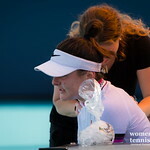 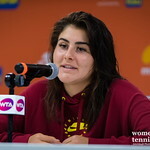 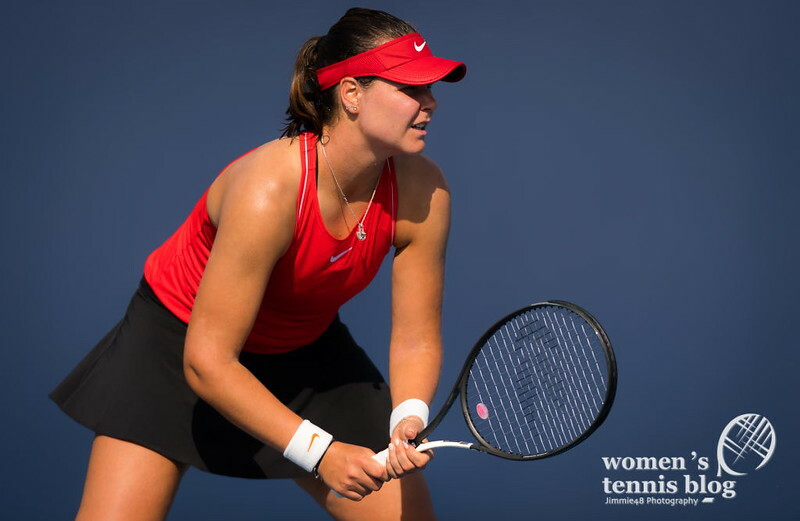 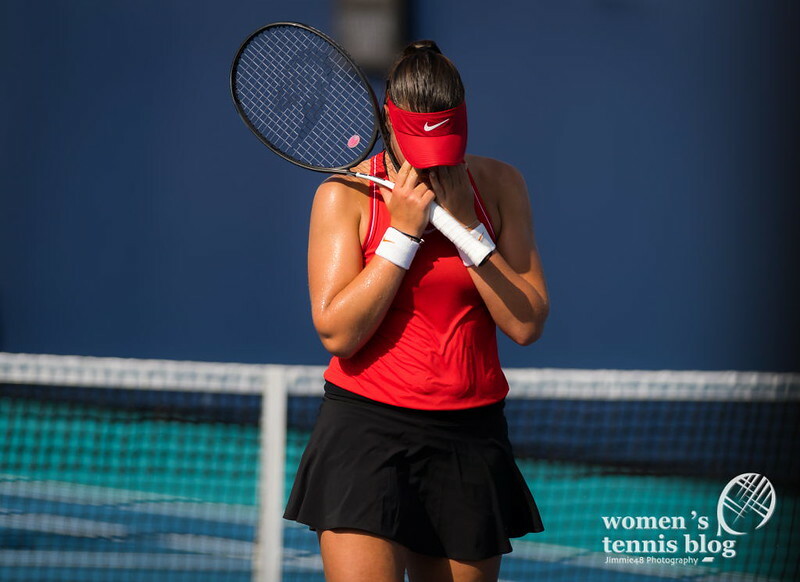 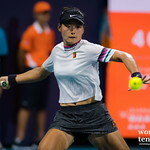 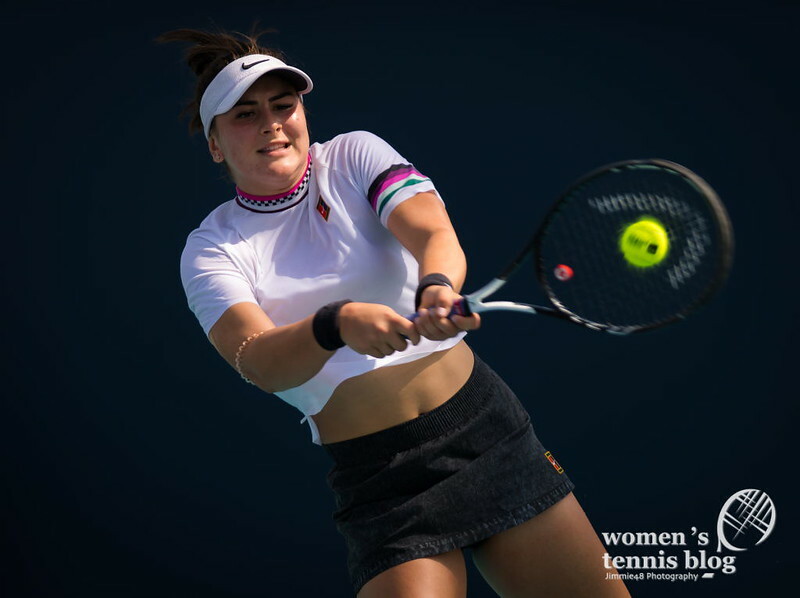 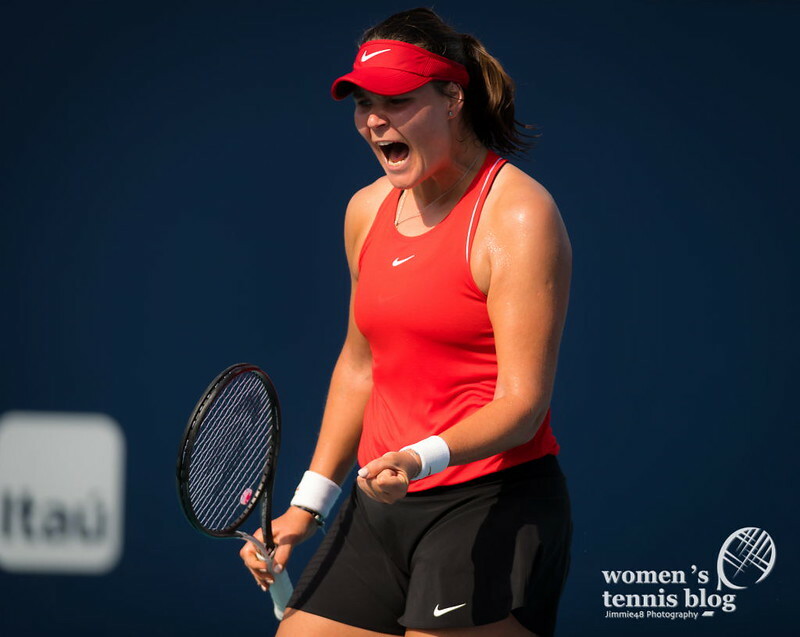 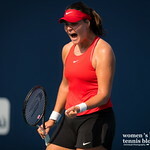 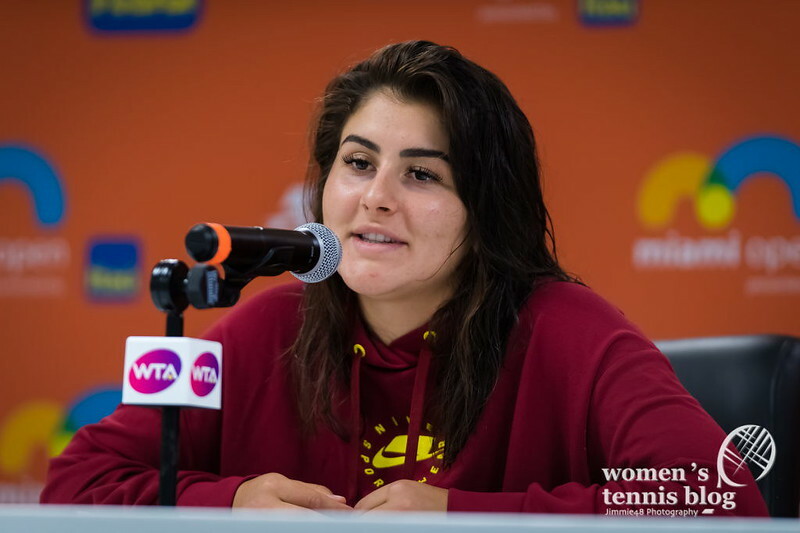 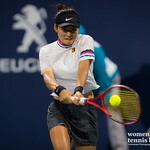 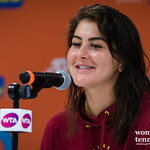 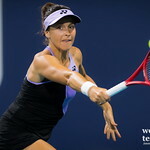 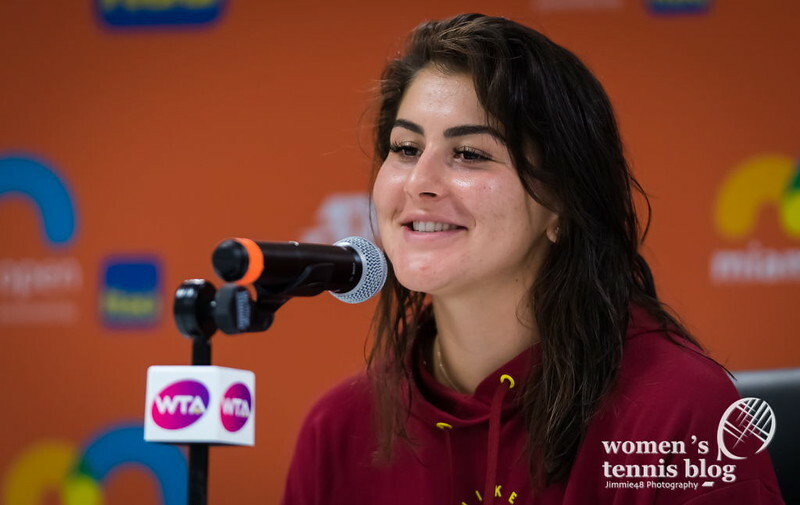 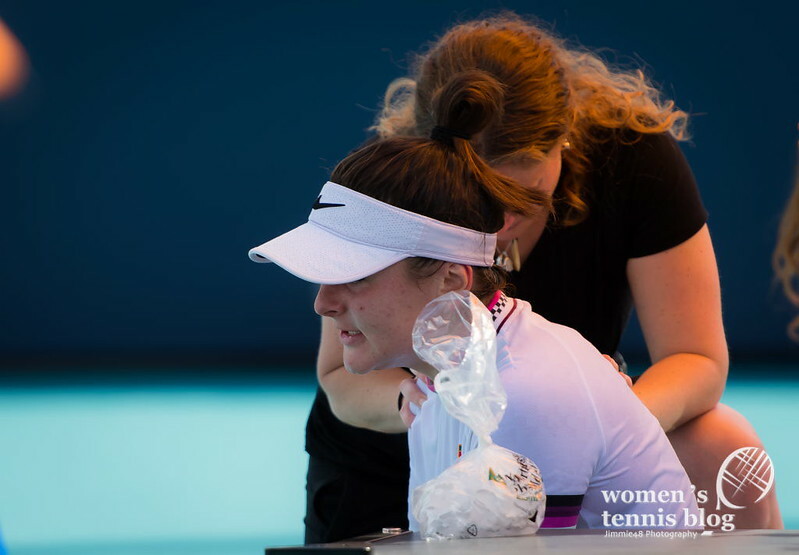 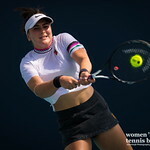 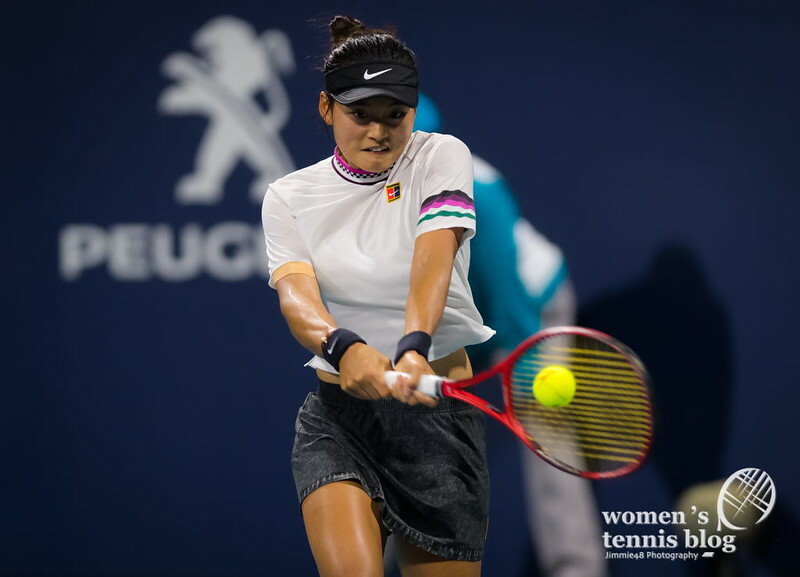 Bianca Andreescu is forced to finally take a break, as a right shoulder injury cut short her fourth-round match against Anett Kontaveit. 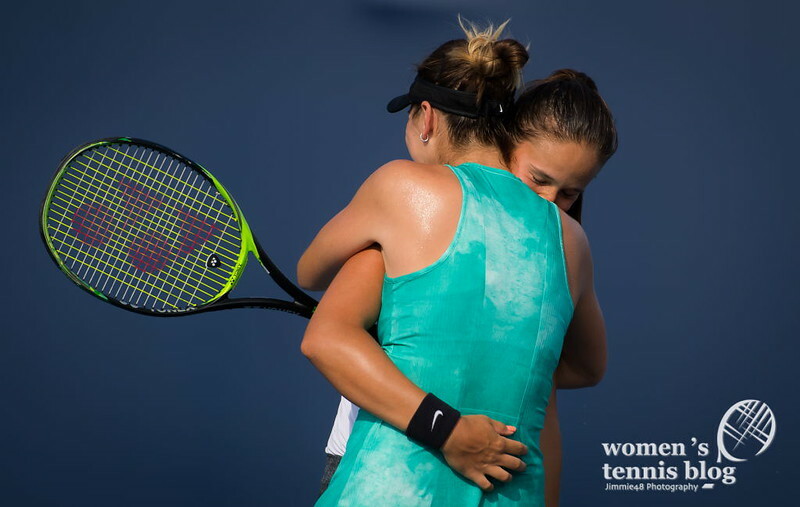 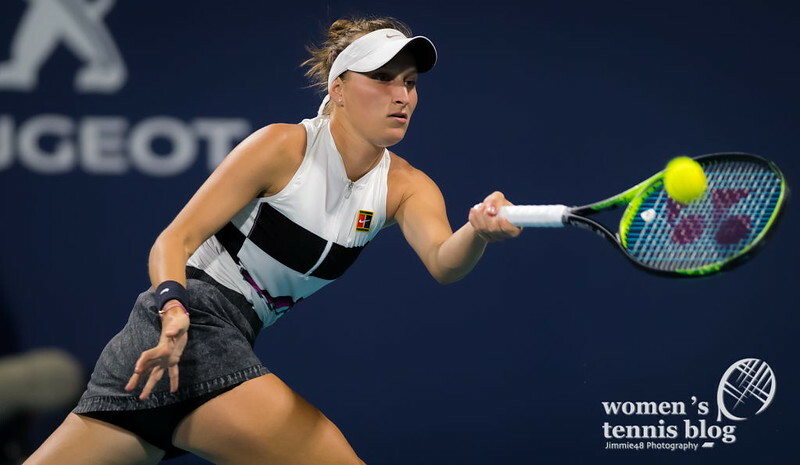 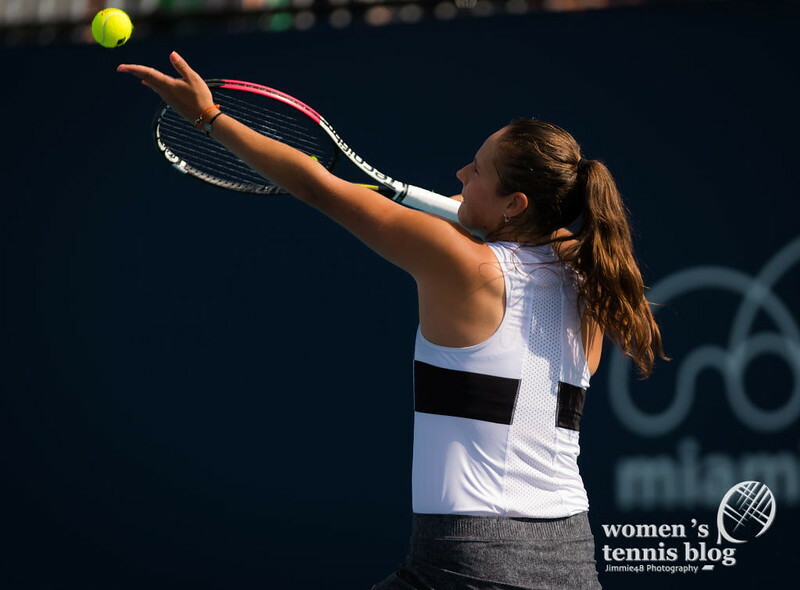 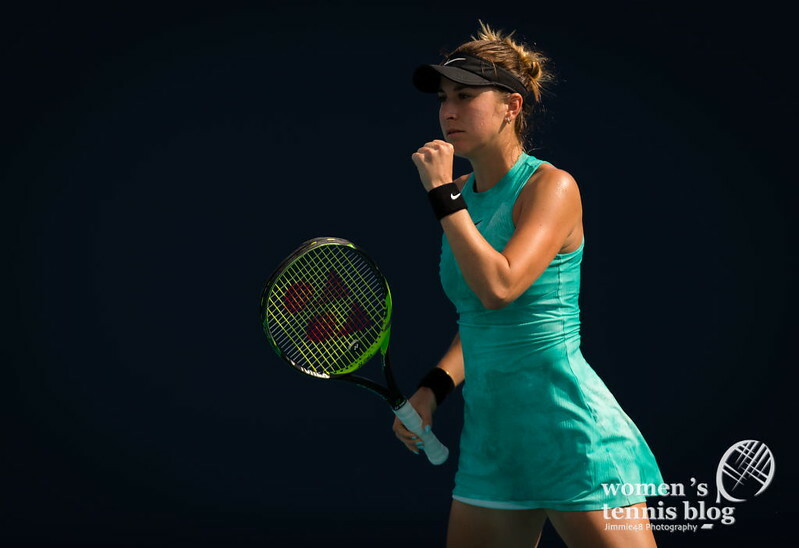 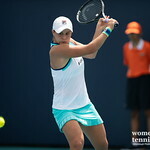 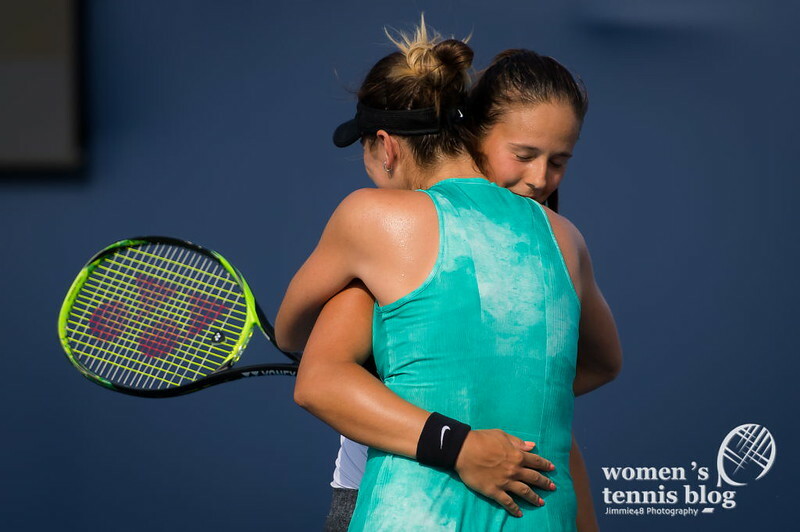 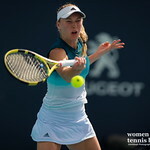 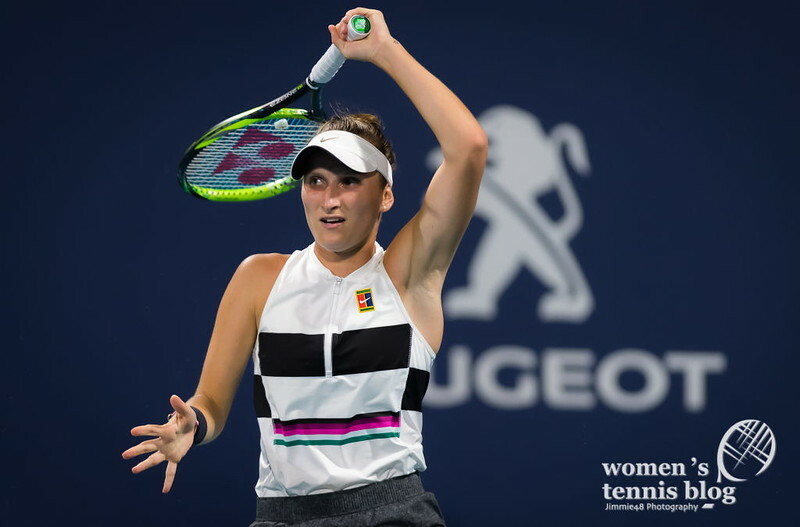 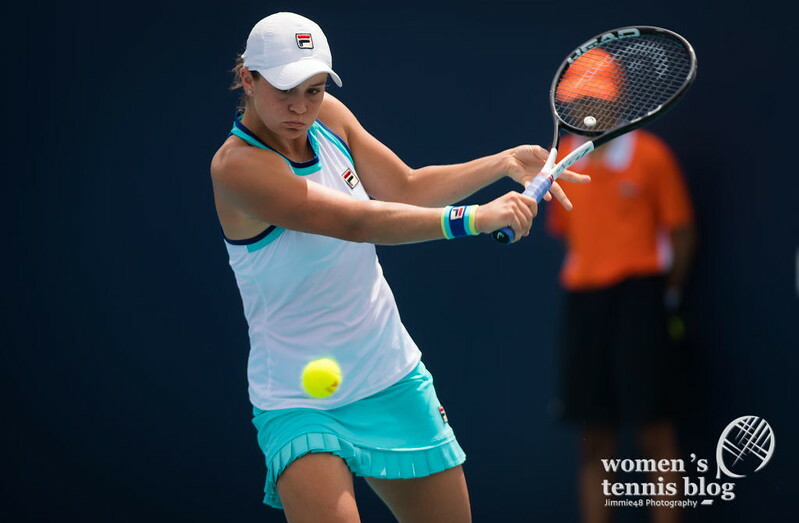 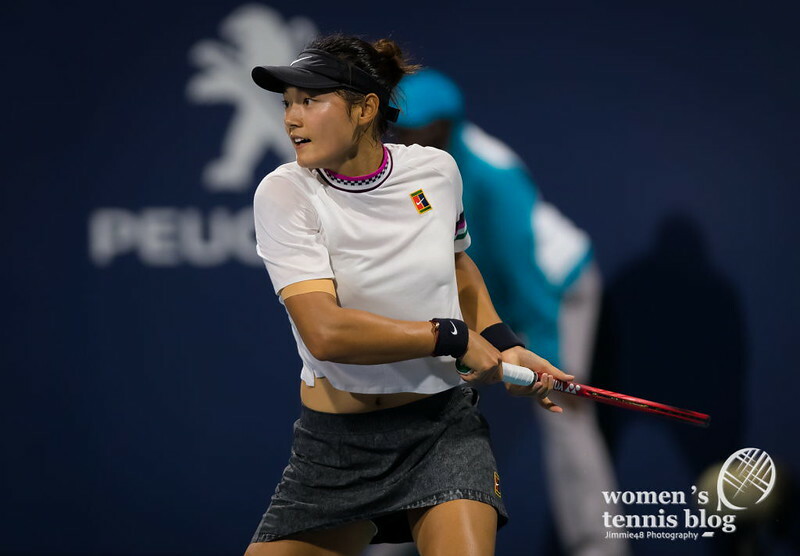 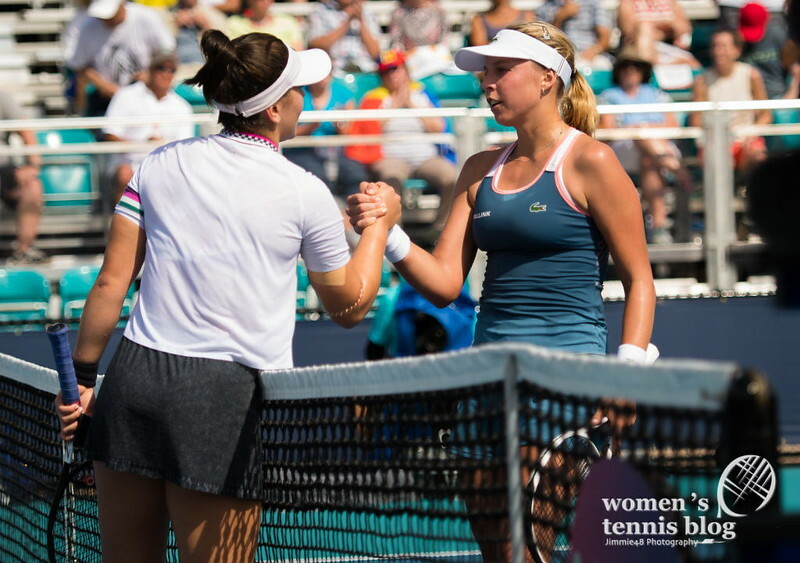 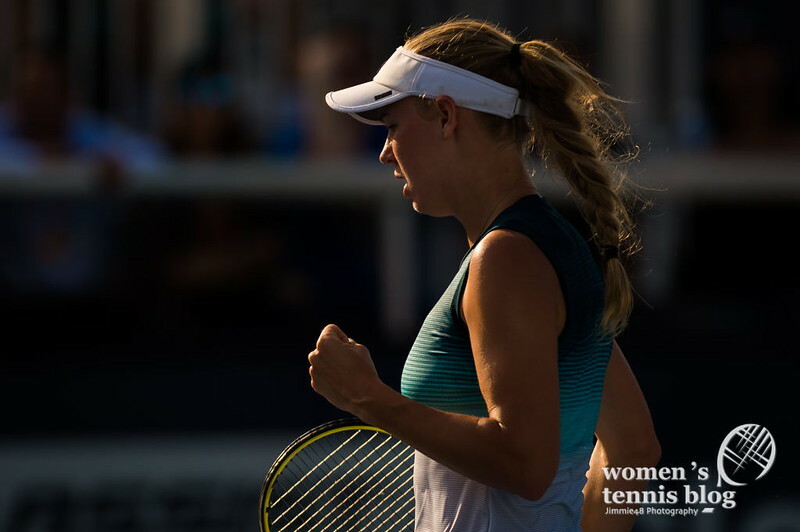 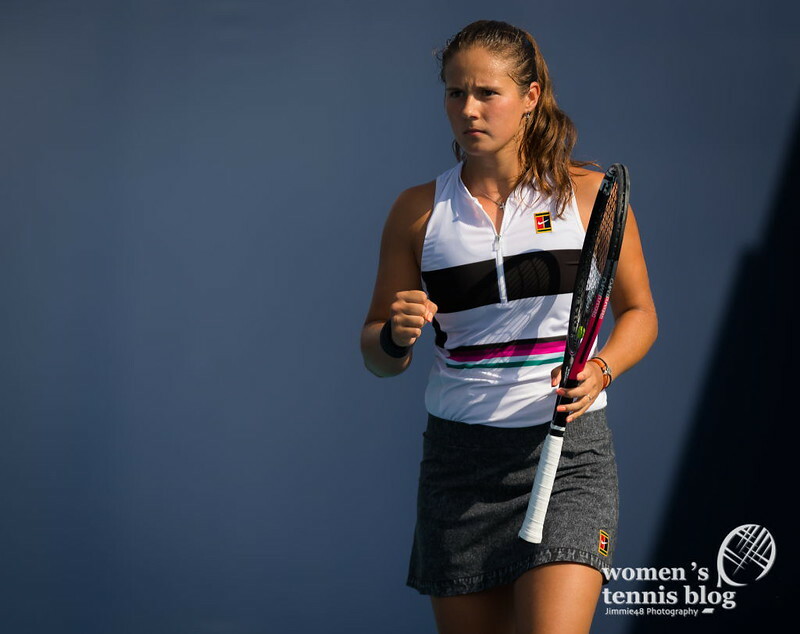 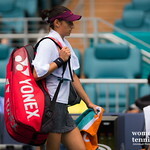 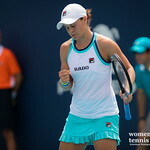 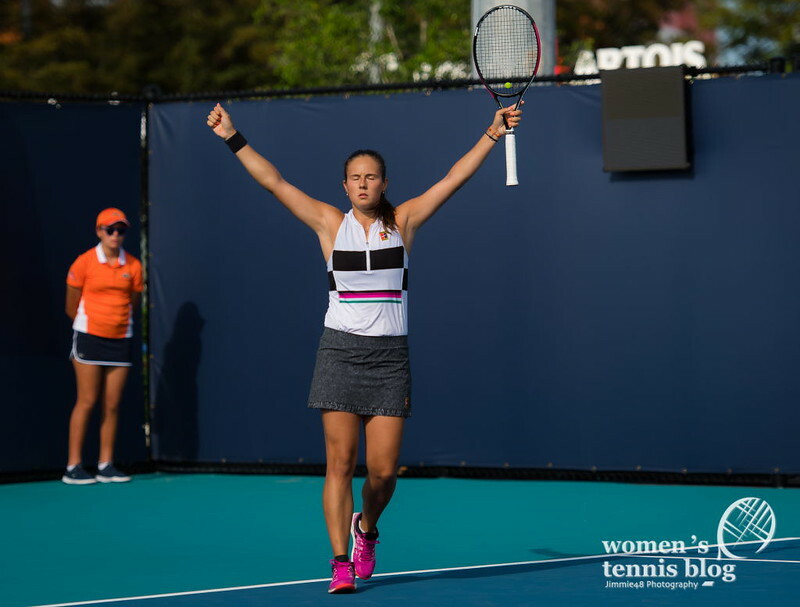 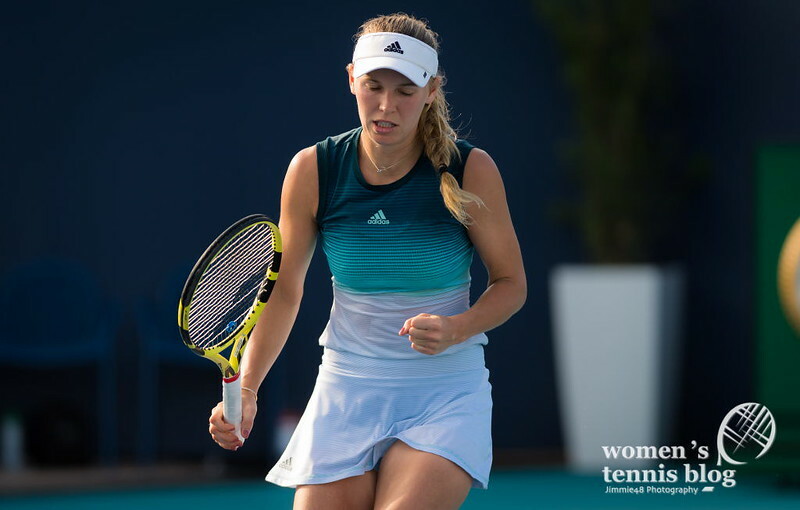 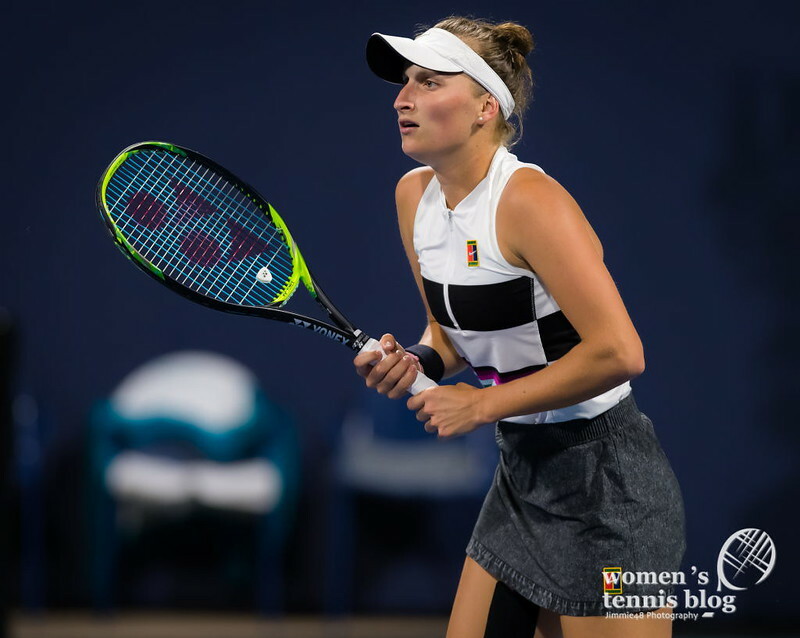 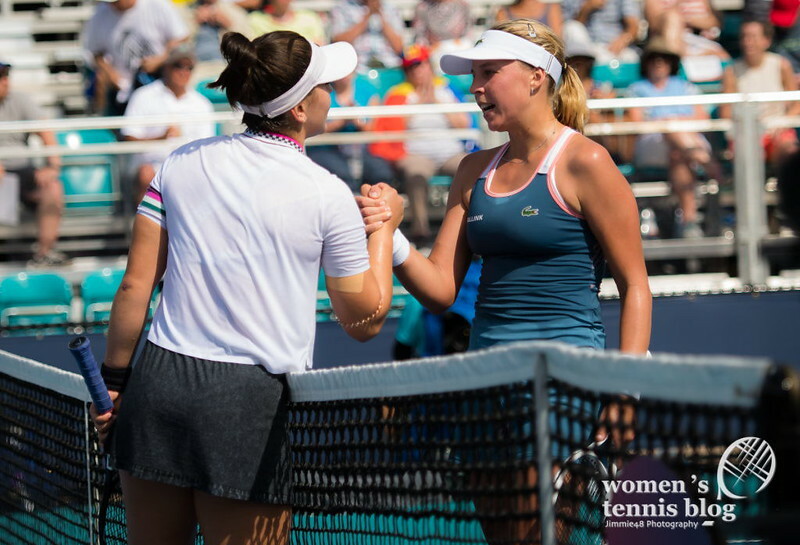 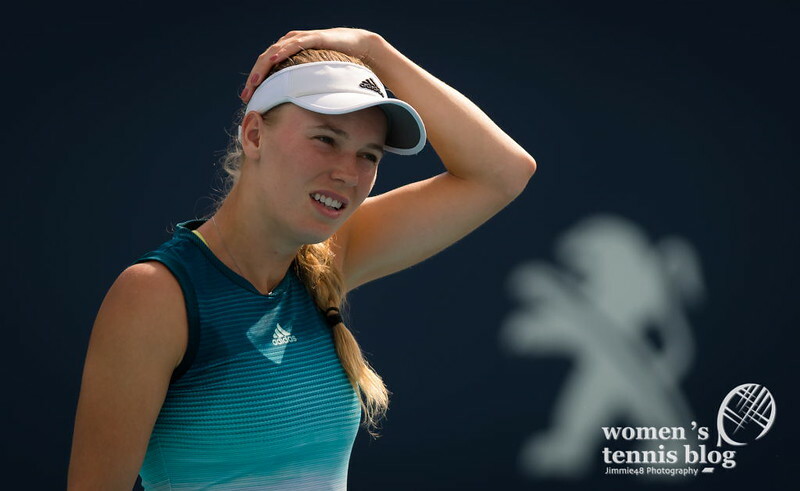 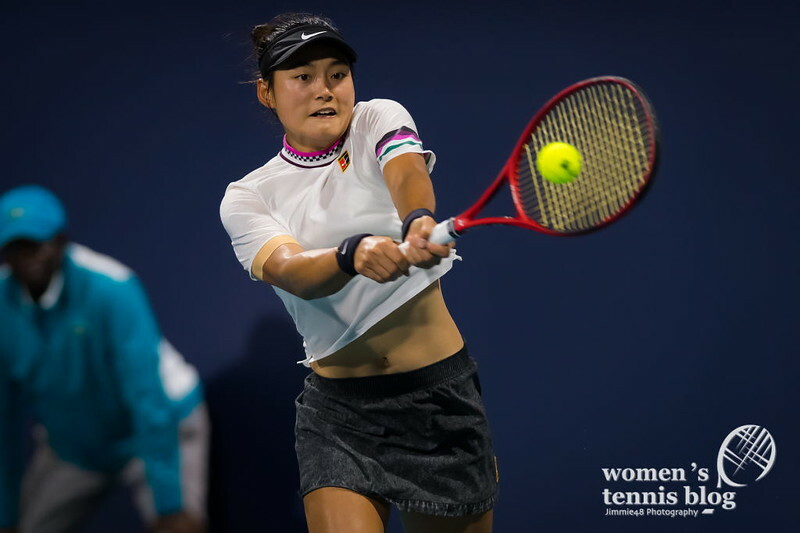 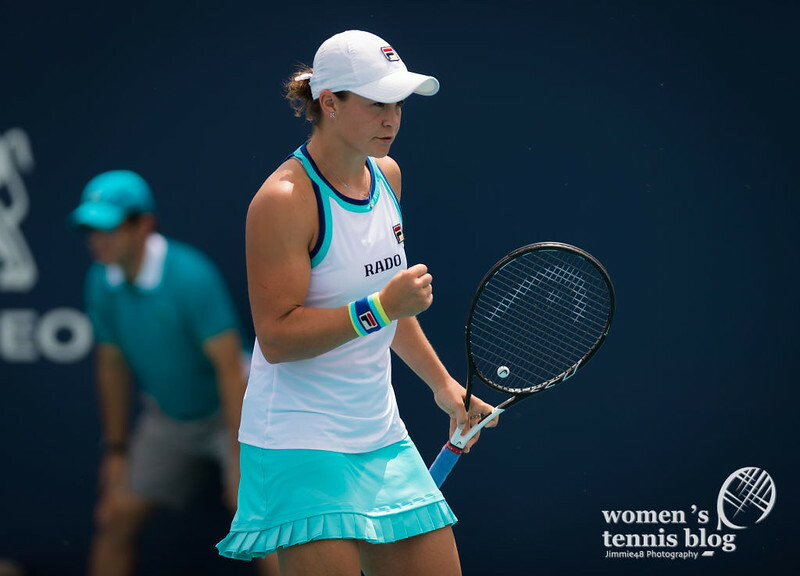 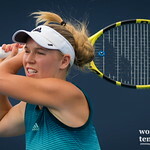 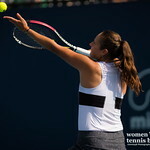 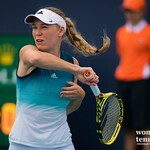 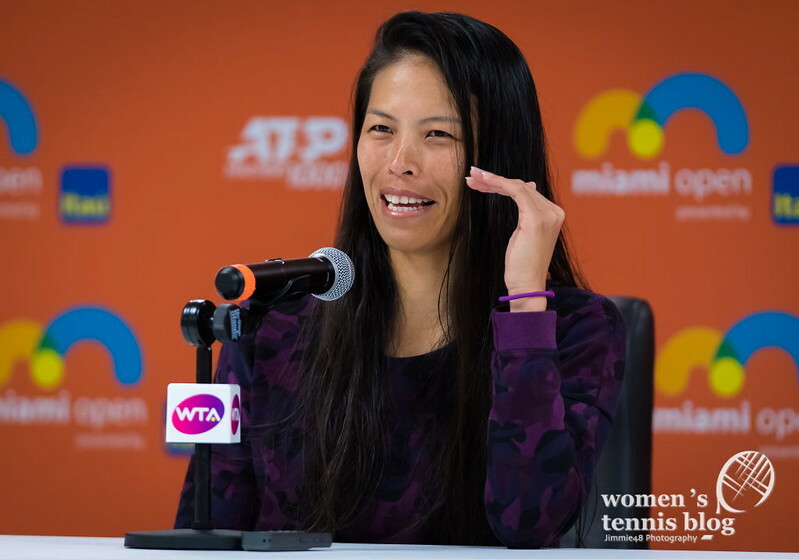 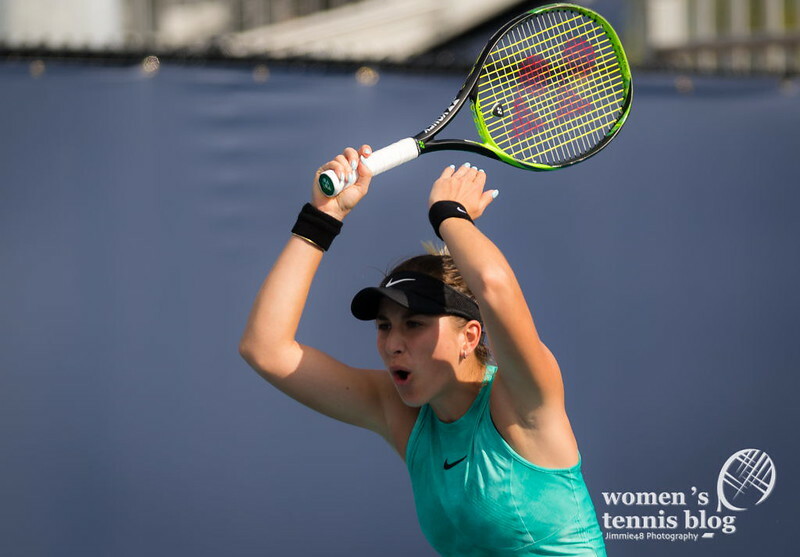 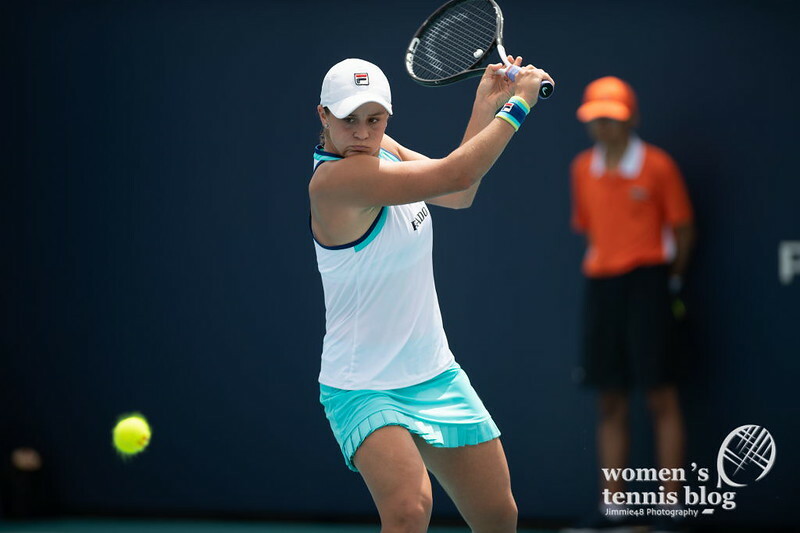 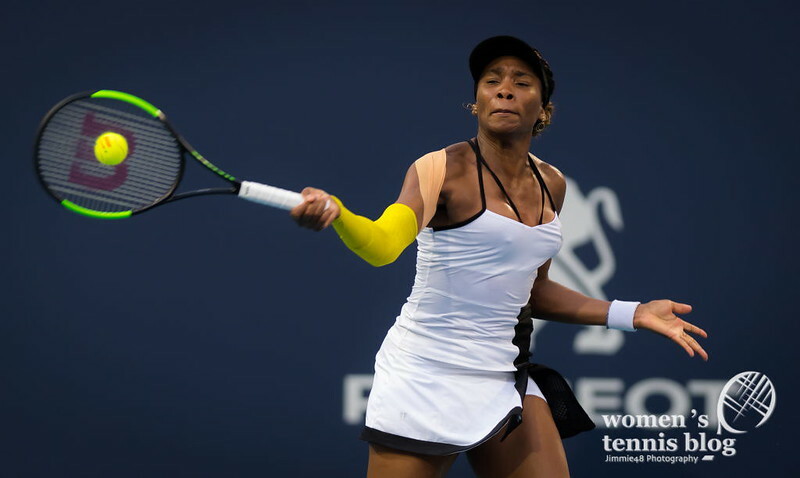 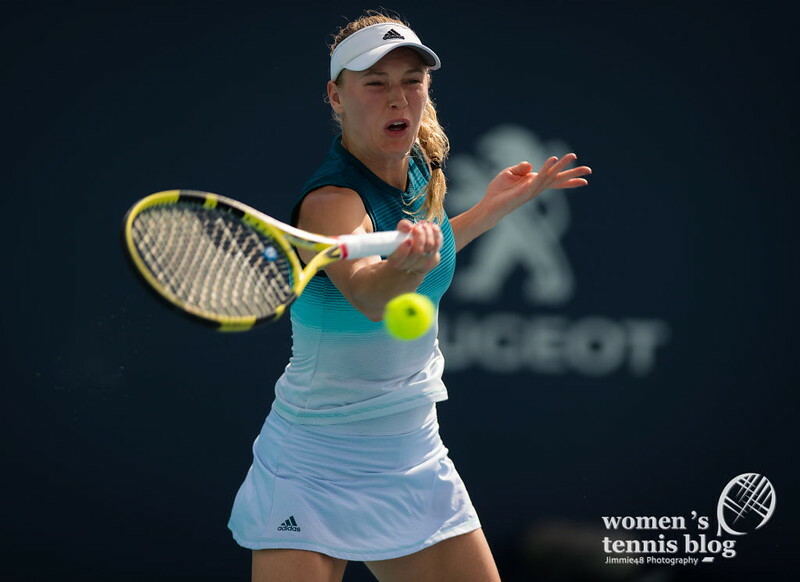 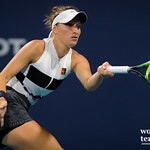 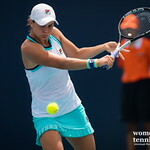 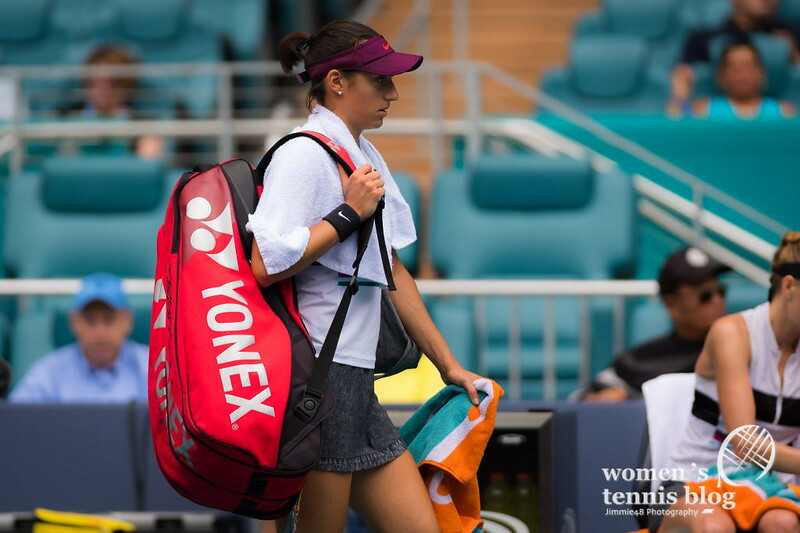 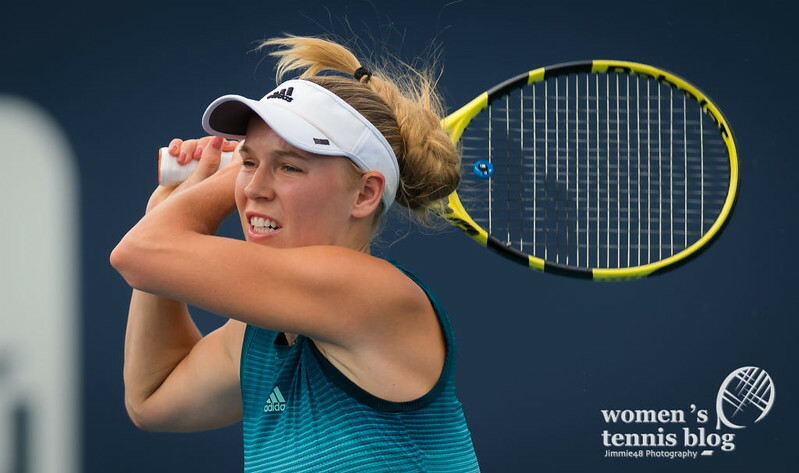 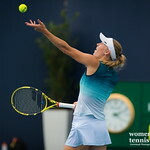 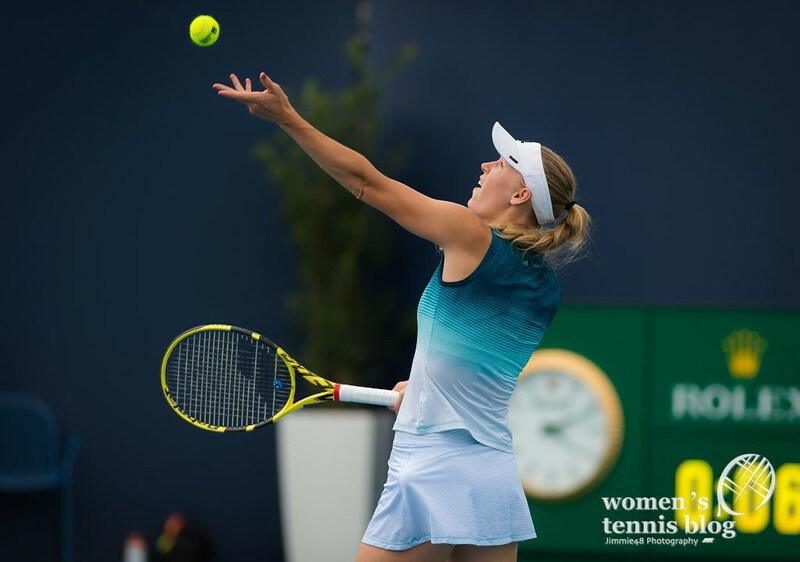 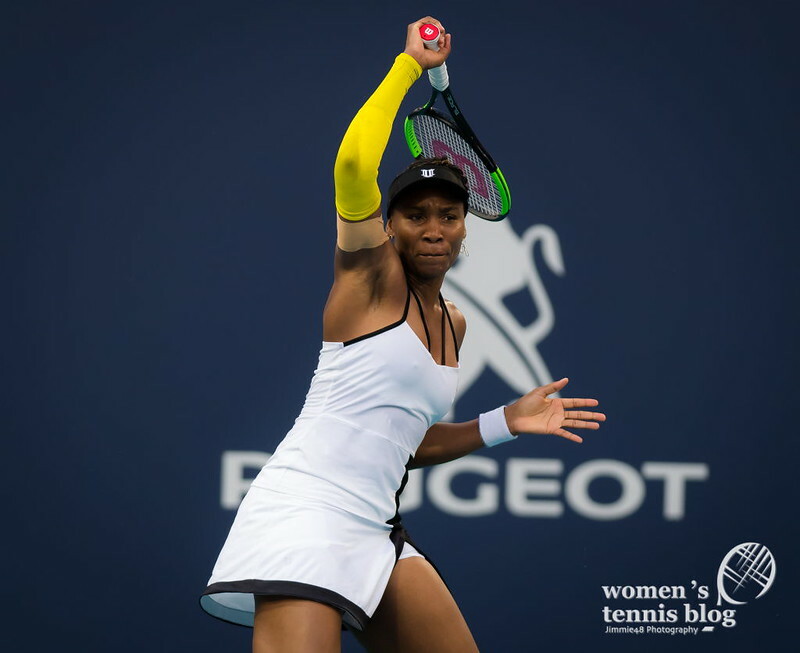 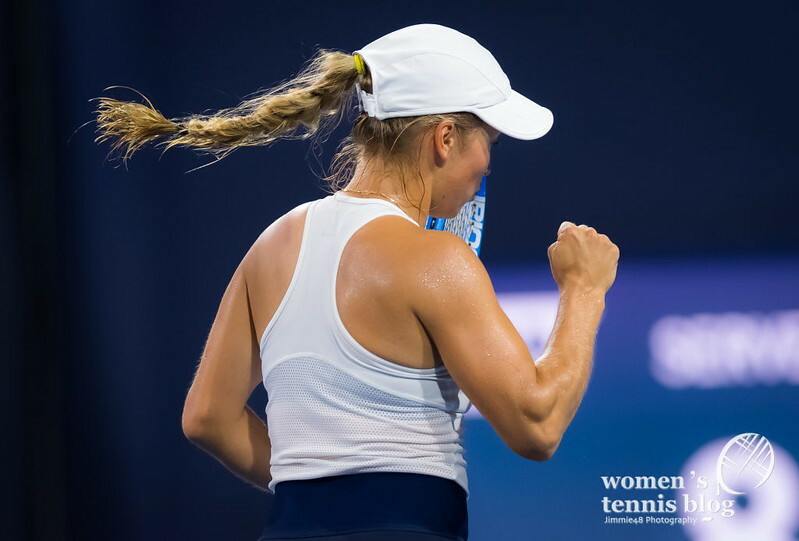 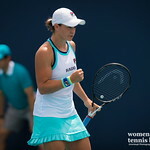 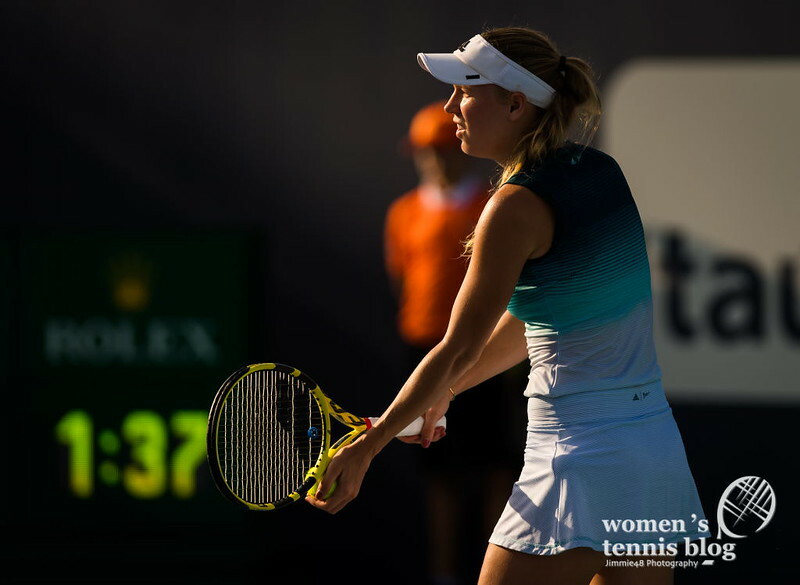 Remember, the 18-year-old Canadian stunned one opponent after the other to clinch the Indian Wells title and then rushed to Miami where she surprisingly managed to win three matches, including one against three-time Grand Slam champion Angelique Kerber. 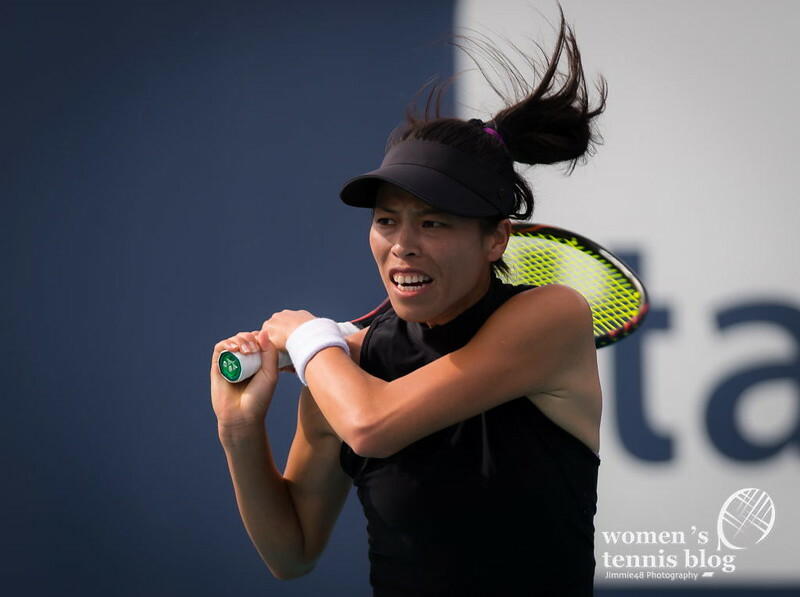 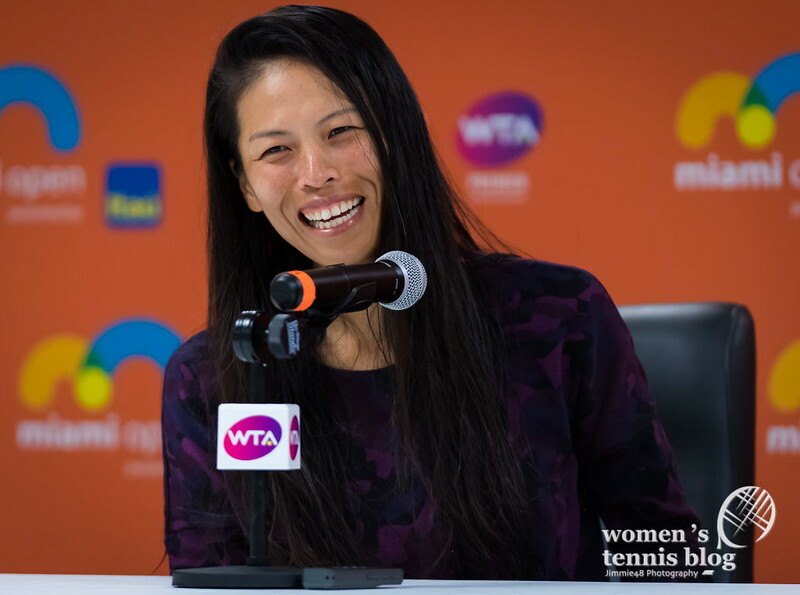 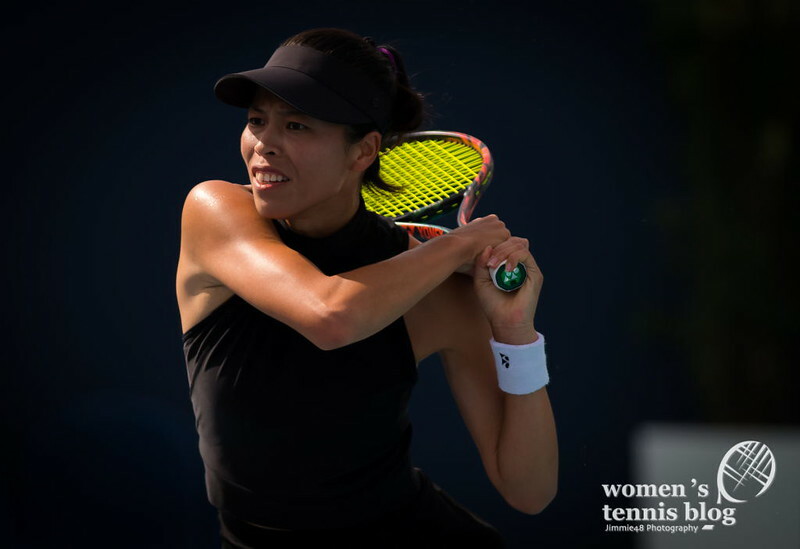 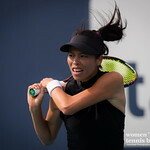 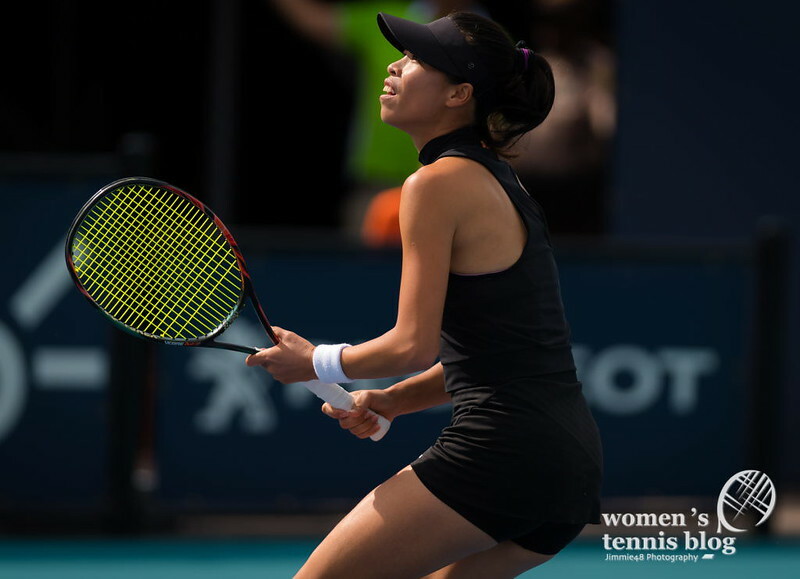 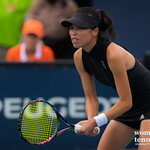 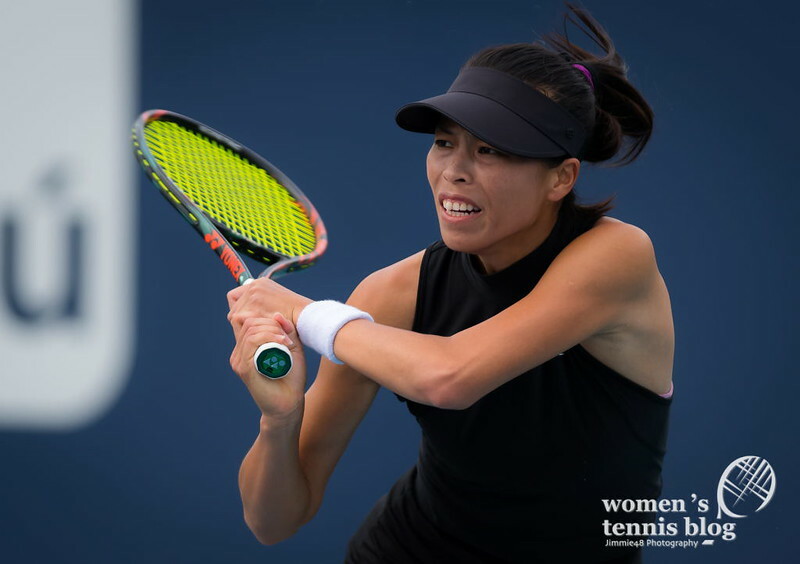 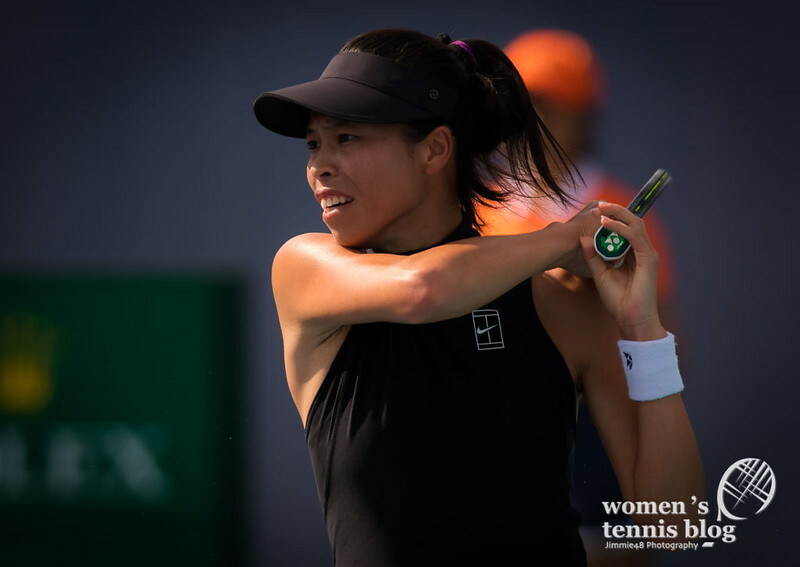 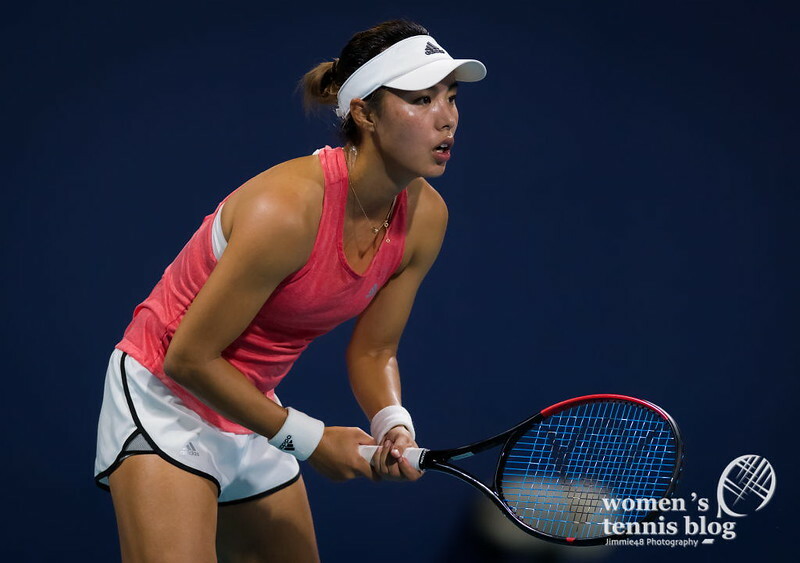 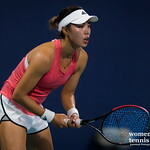 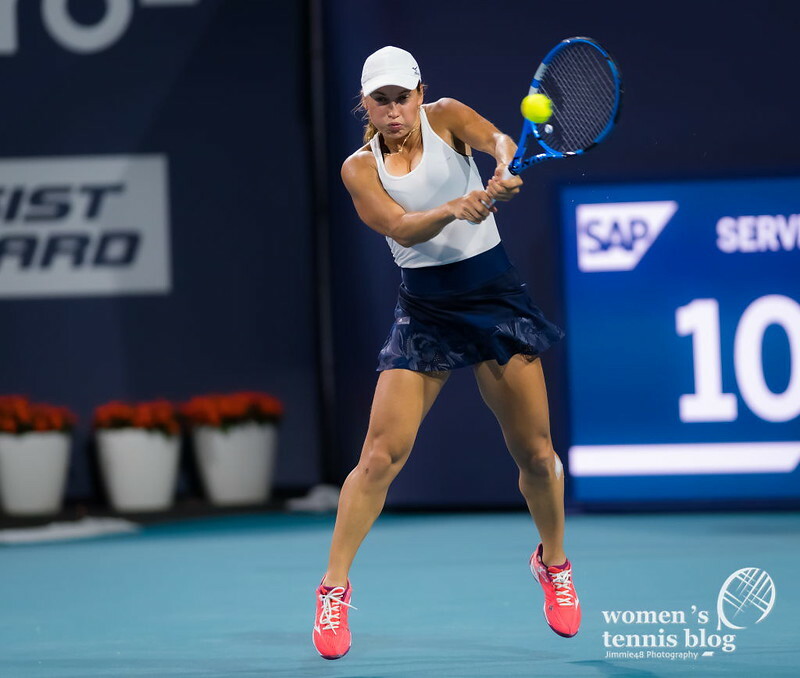 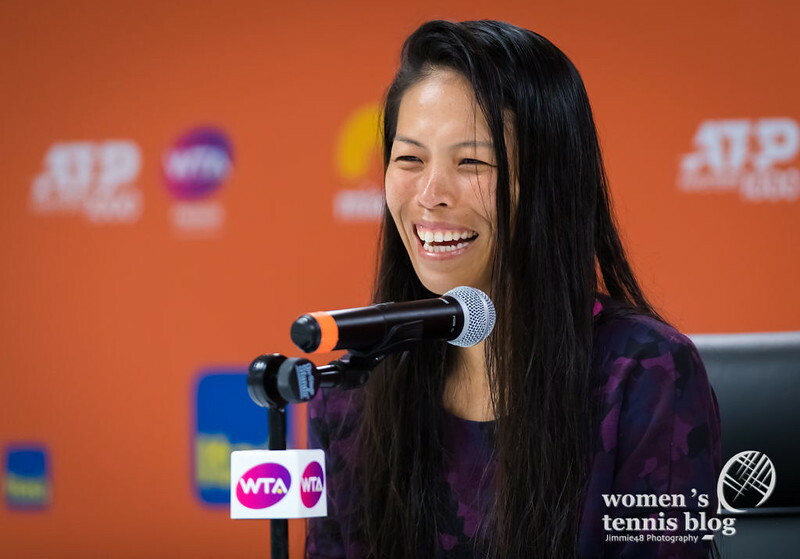 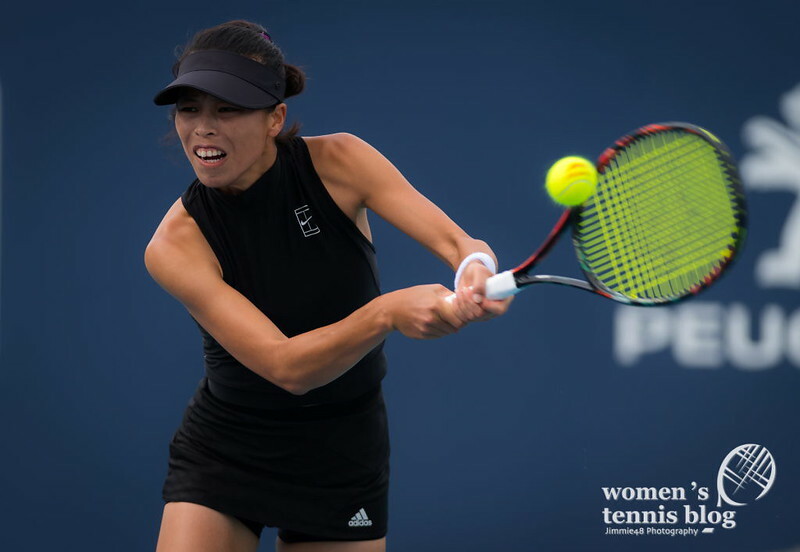 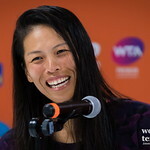 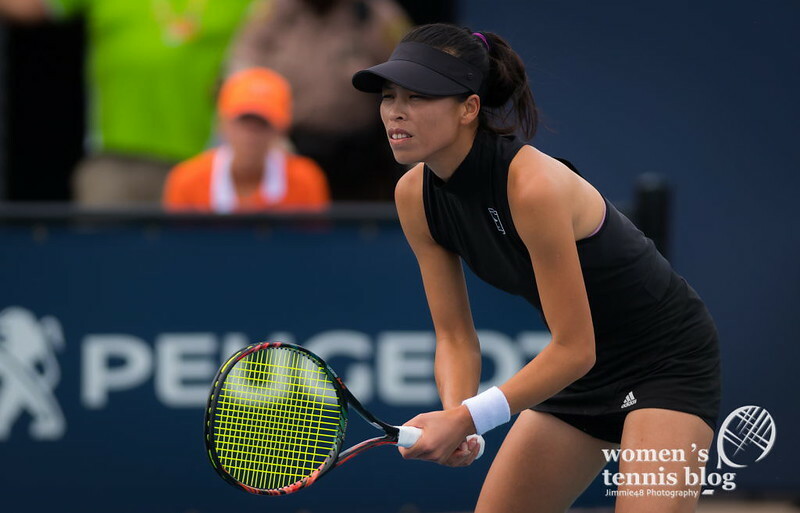 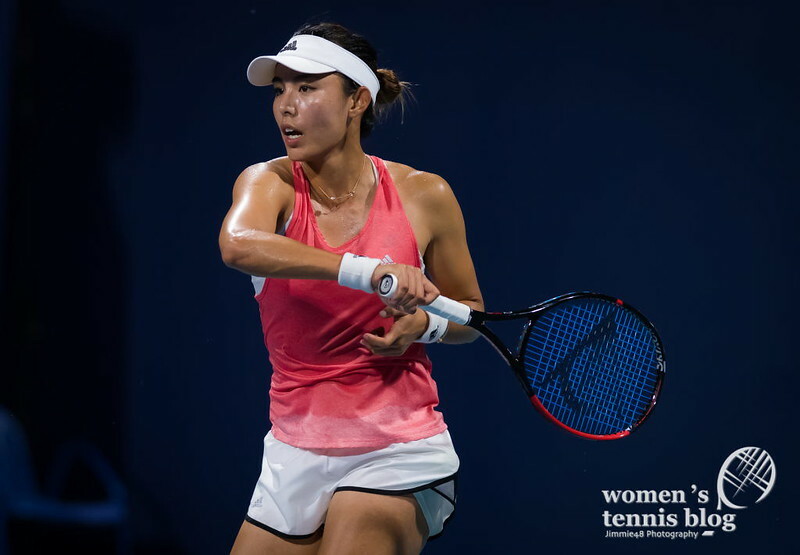 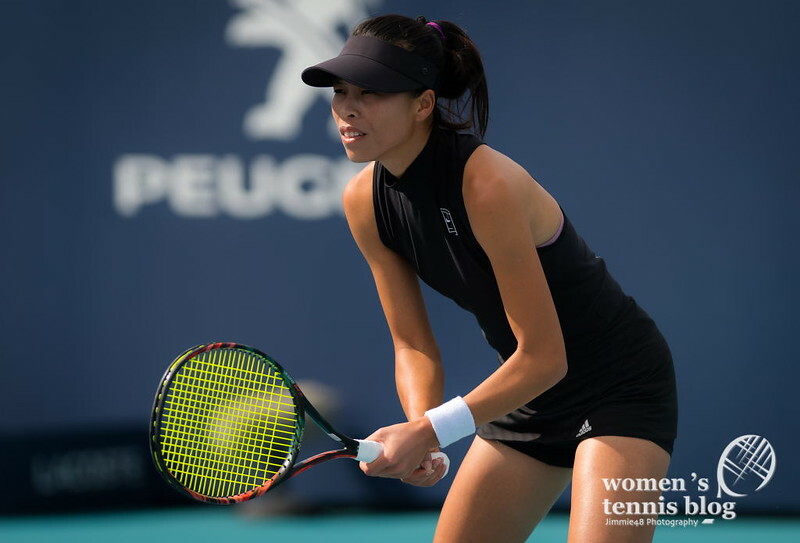 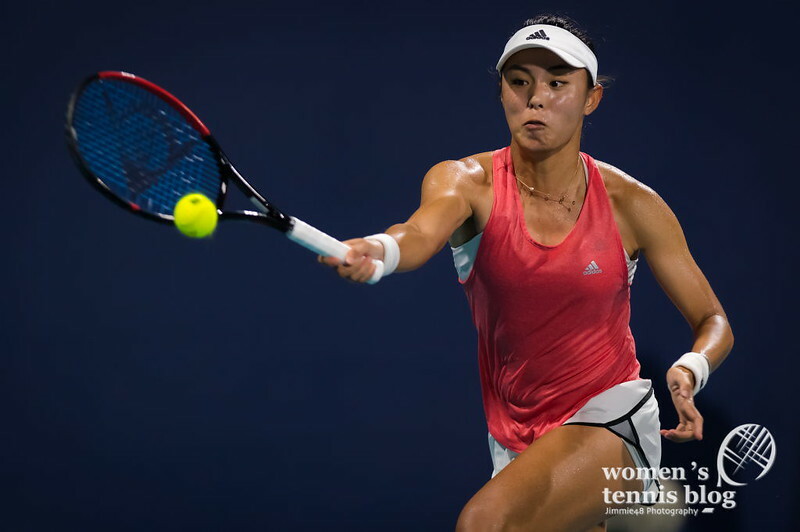 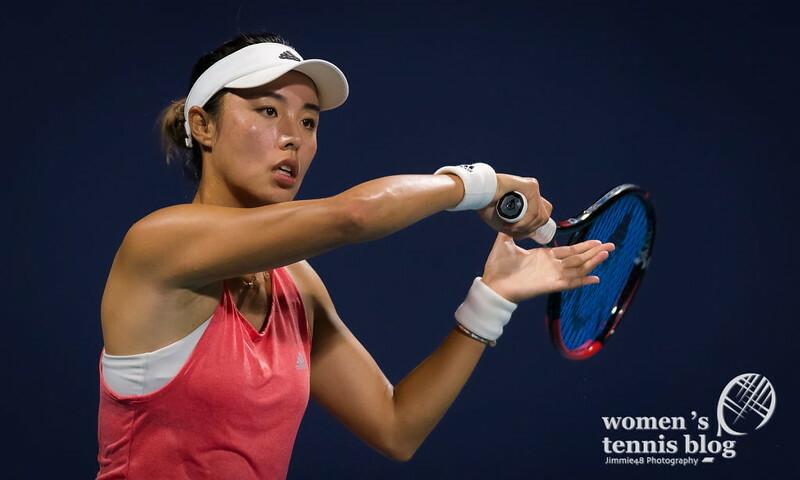 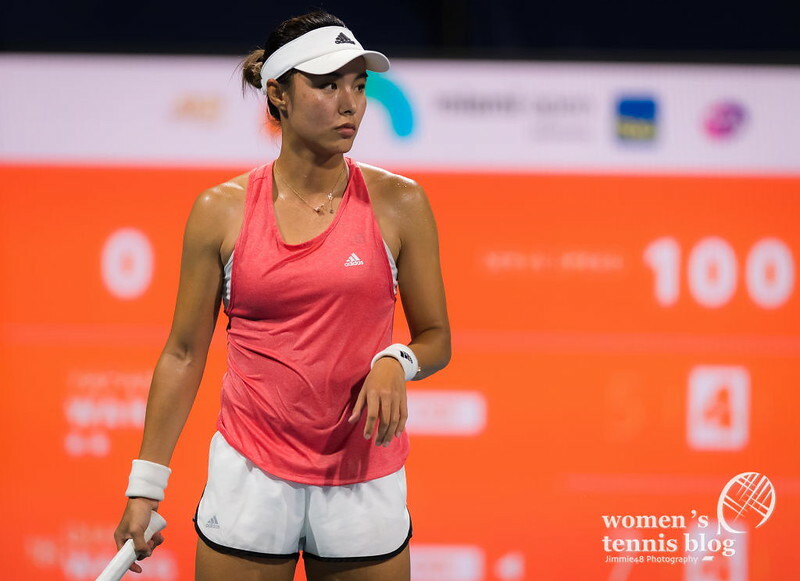 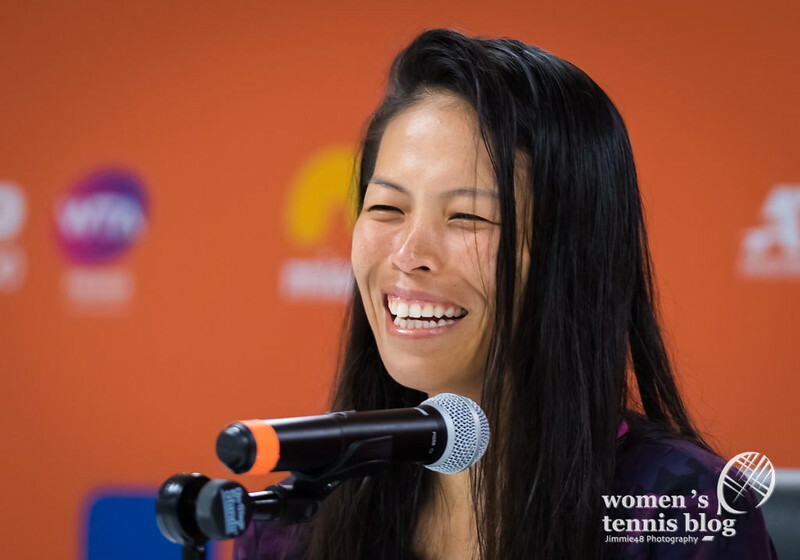 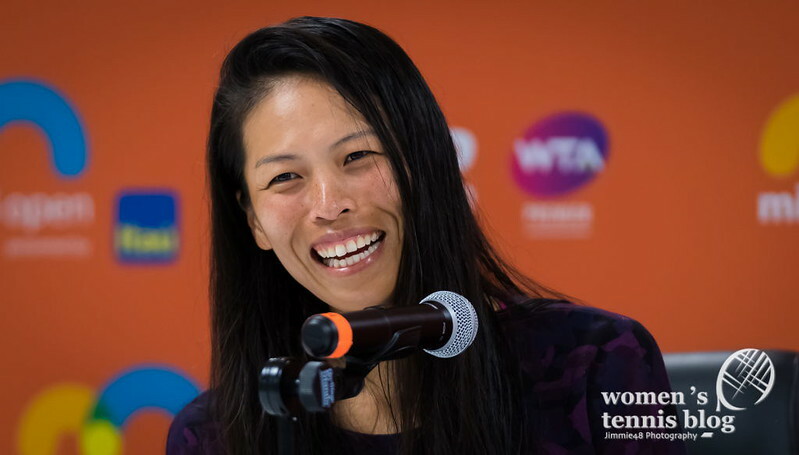 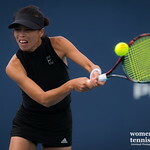 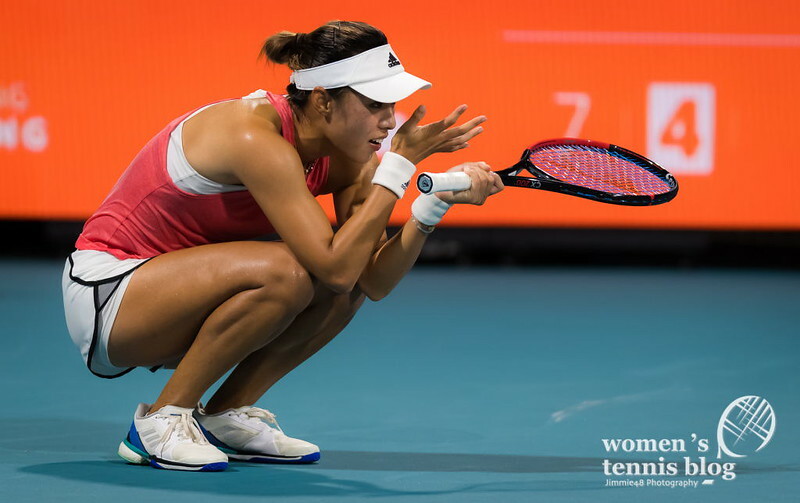 Kontaveit’s quarterfinal opponent will be Hsieh Su-wei, who fought past Caroline Wozniacki 6-3 6-7(0) 6-2, donning an all-black Nike-Adidas outfit. 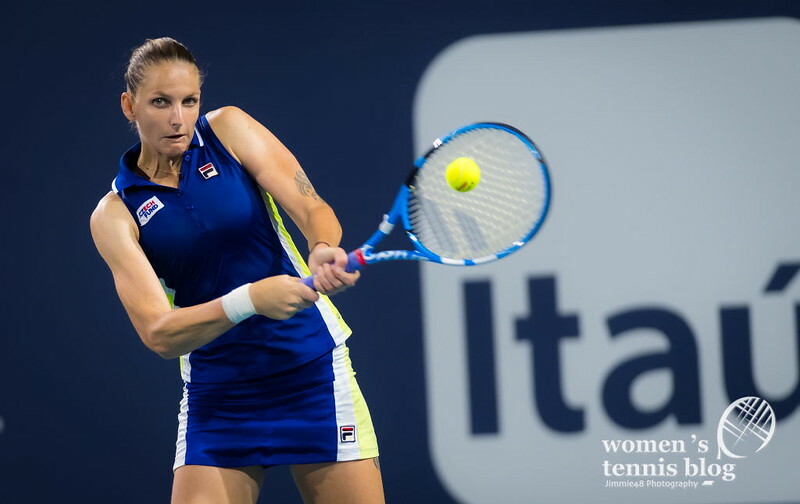 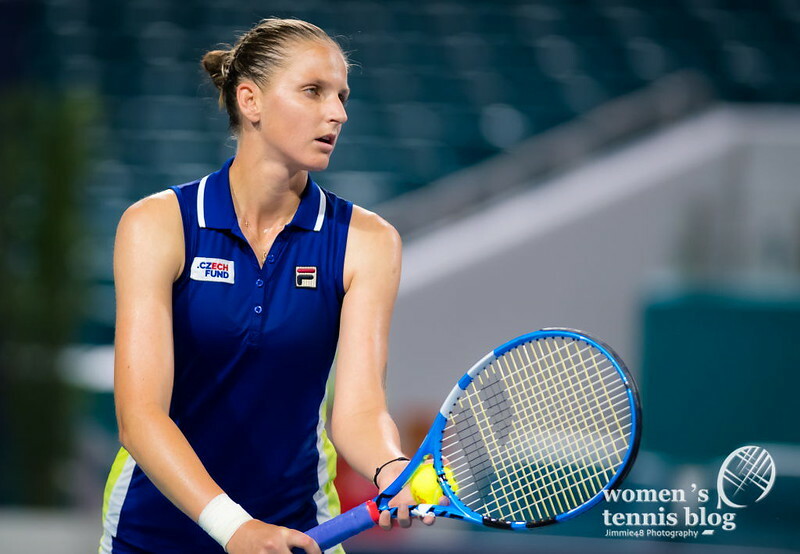 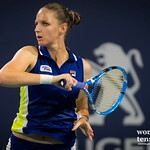 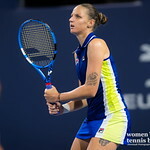 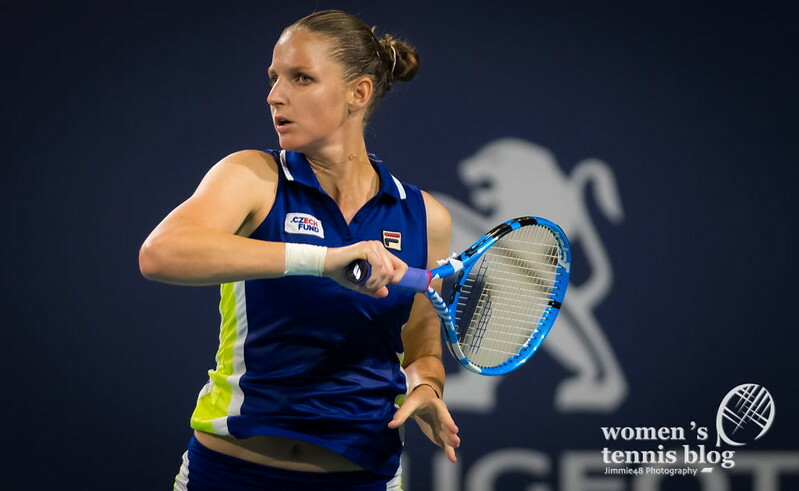 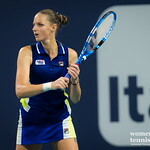 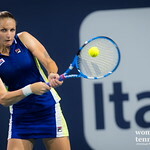 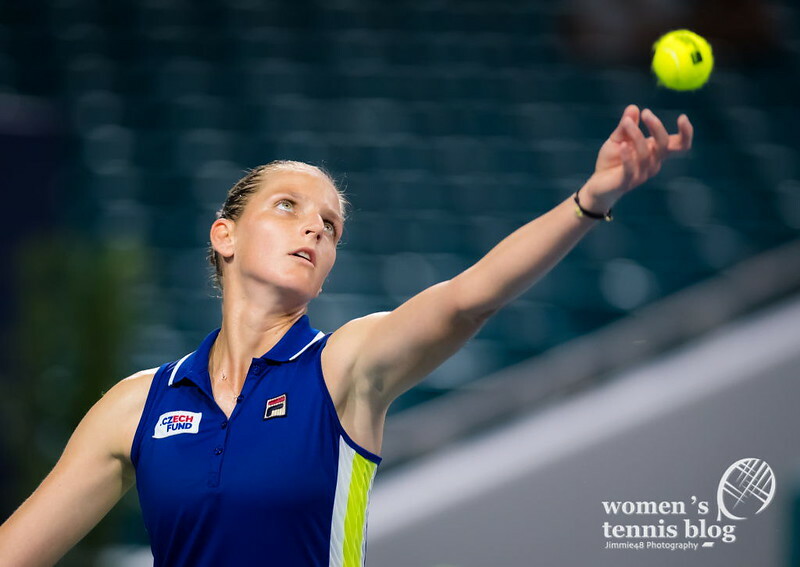 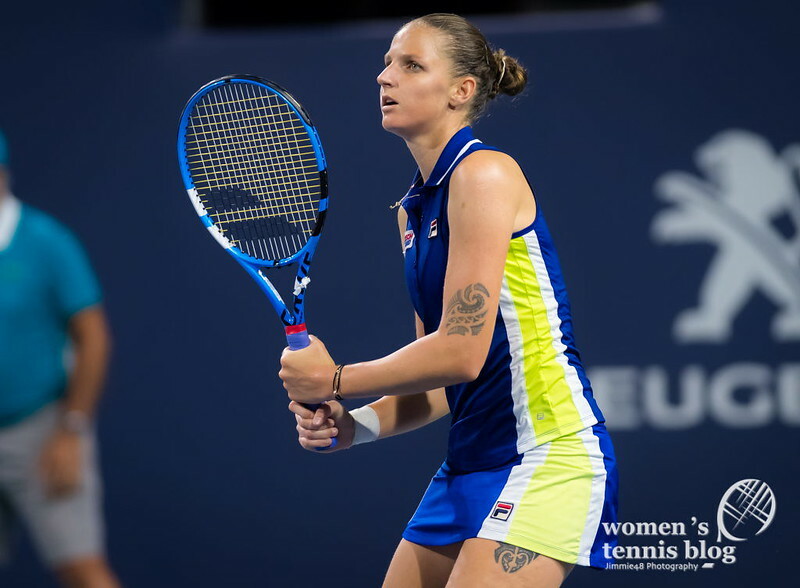 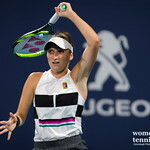 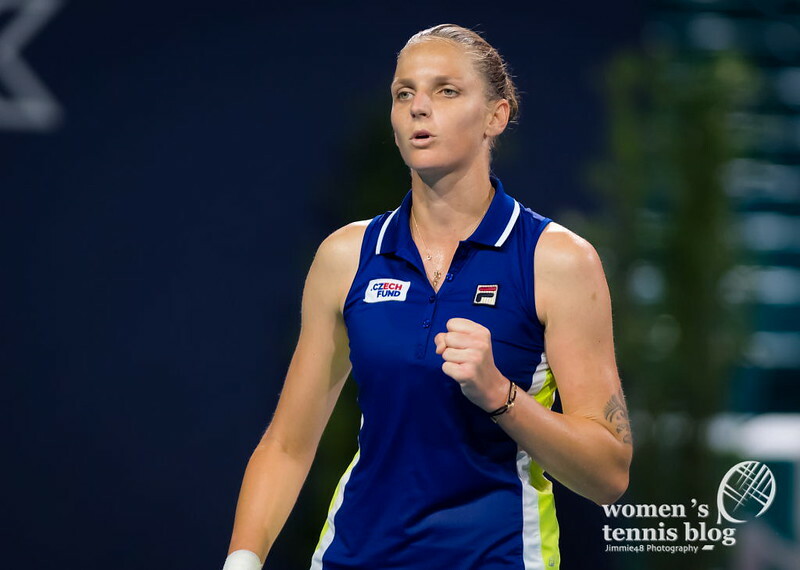 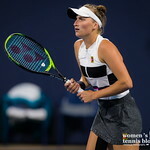 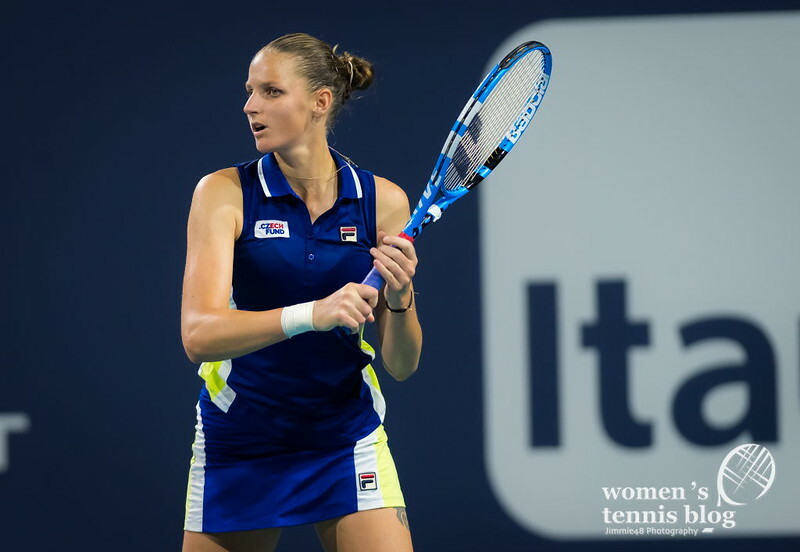 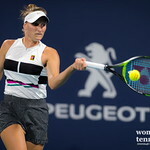 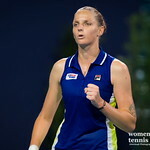 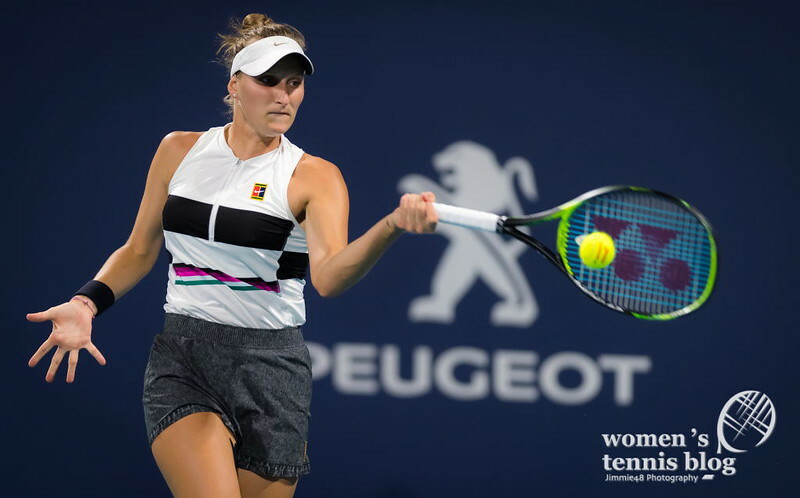 We’ll also have an all-Czech quarterfinal, as fifth seed Karolina Pliskova, who survived Yulia Putintseva 2-6 6-3 7-5, will meet Marketa Vondrousova, who defeated Tatjana Maria 6-4 6-3. 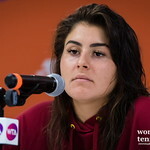 Stunned that Andreescu is out! 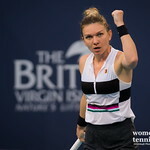 She was definitely in it to win it. 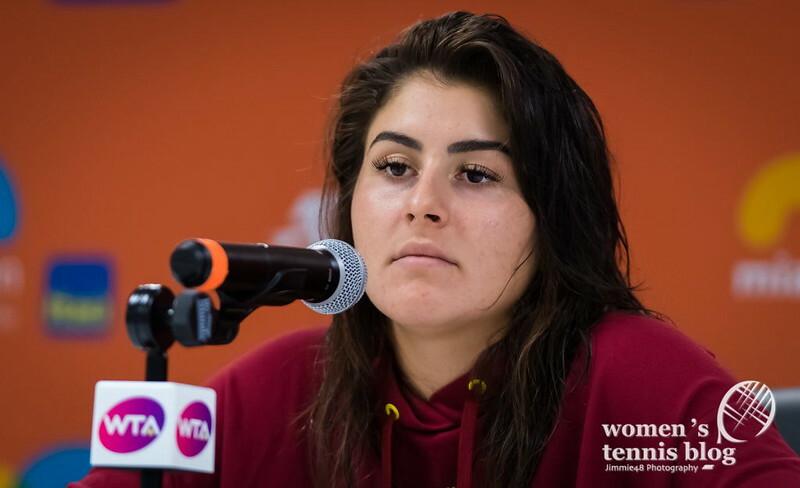 That girl’s going places in women’s tennis, for sure. 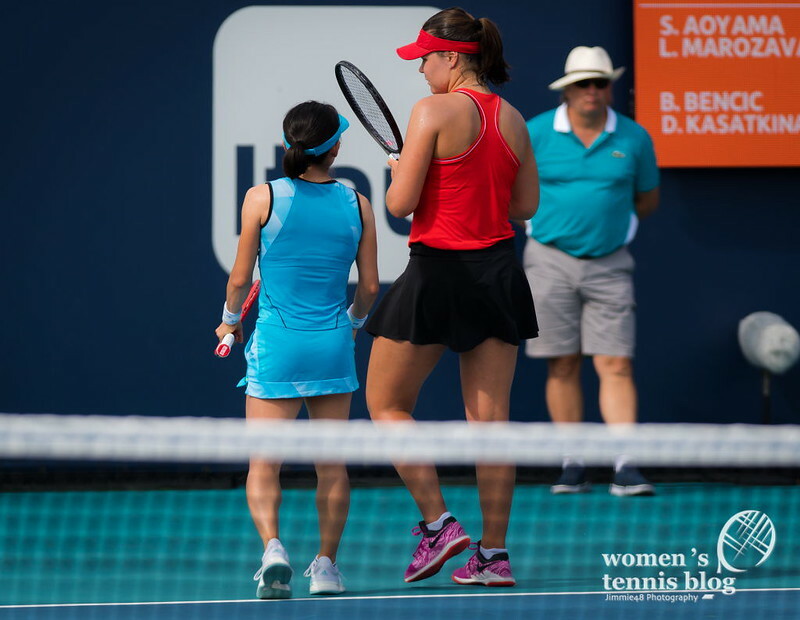 Those strong legs and fierceness are a plus. 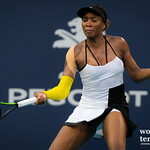 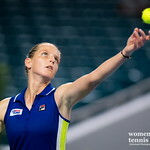 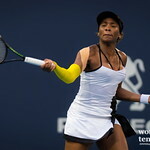 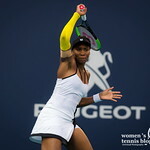 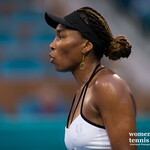 It’s a pleasure to watch her play tennis; sort of reminds me of Serena’s athletic body build and strength. 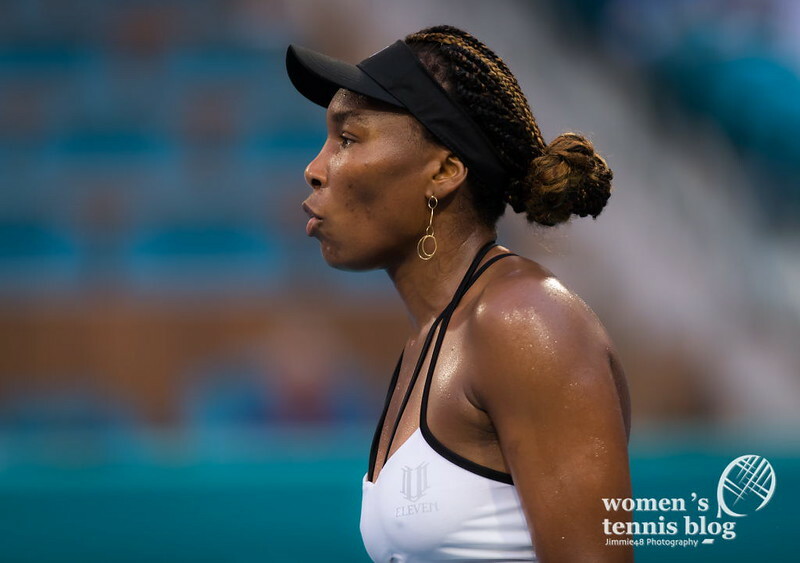 Unfortunately, no one thus far matches The GOAT’s (Serena Williams, of course) tenacity, dominance, and consistency in the game. 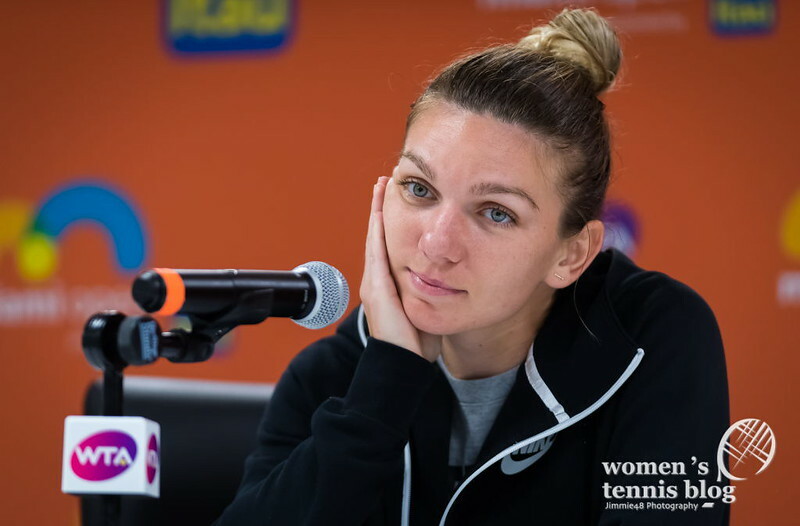 I mean, no one! 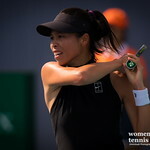 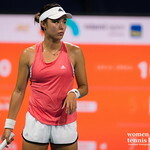 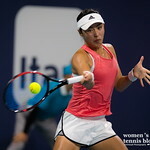 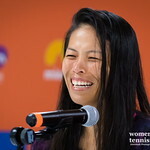 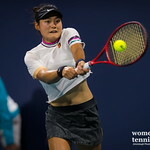 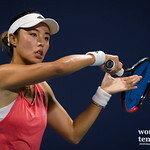 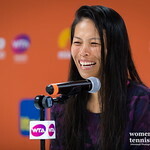 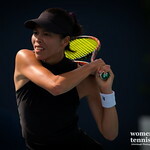 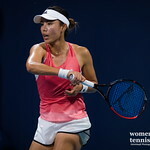 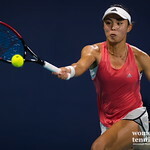 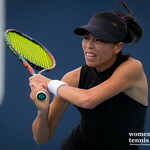 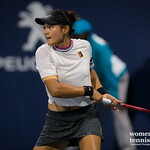 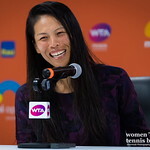 I’m also liking Su-Wei Hsieh’s magical skill on the court; so cool, calm, and shrewd (reminds me of Martina Hingis’ game).